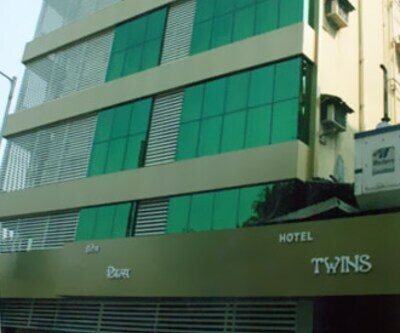 Hotel Twins located at 7 km from the Upvan Lake. 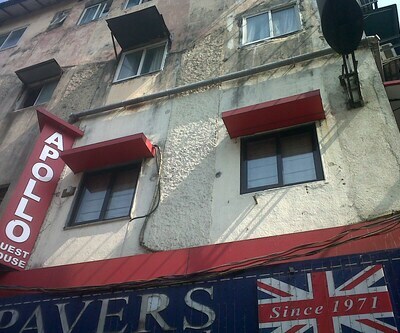 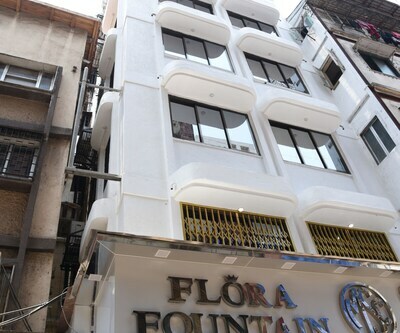 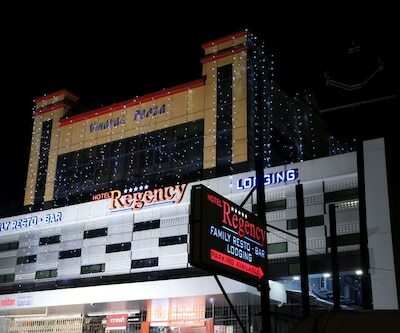 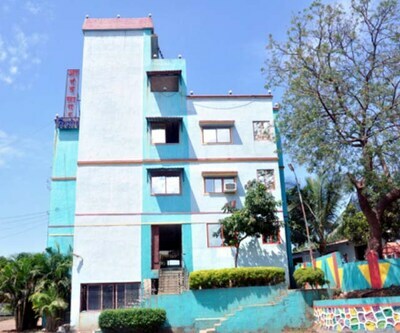 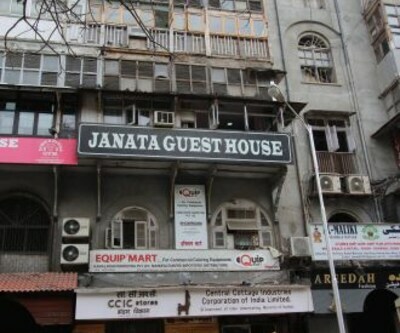 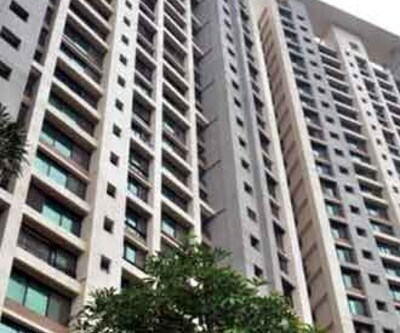 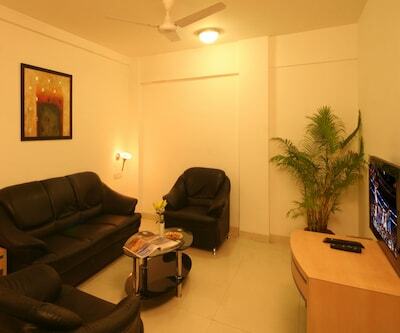 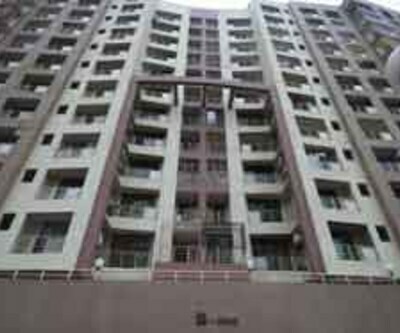 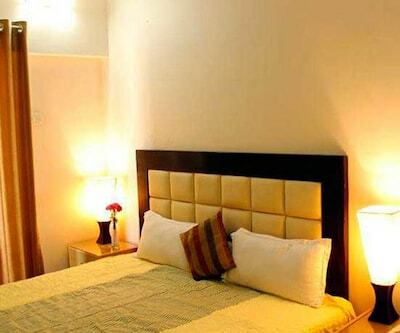 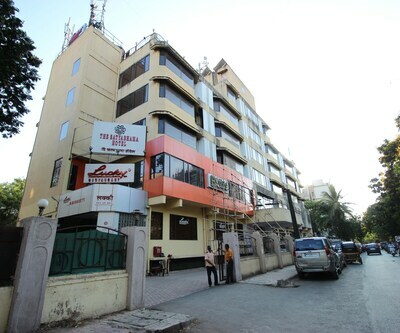 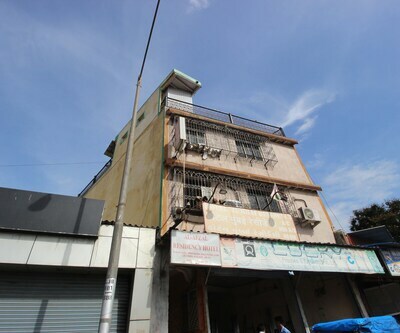 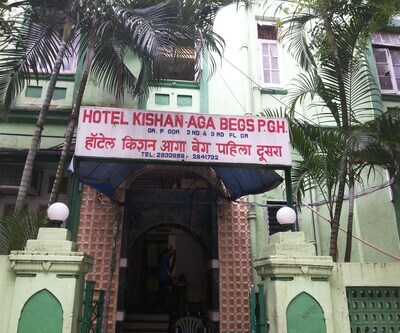 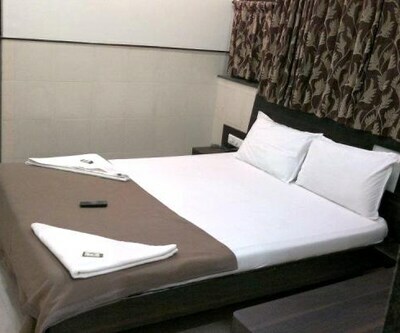 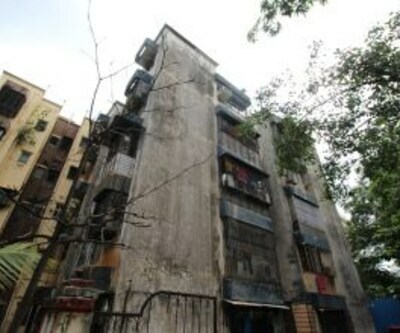 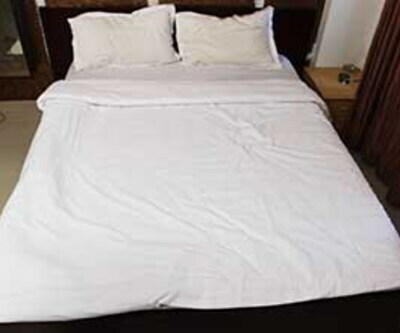 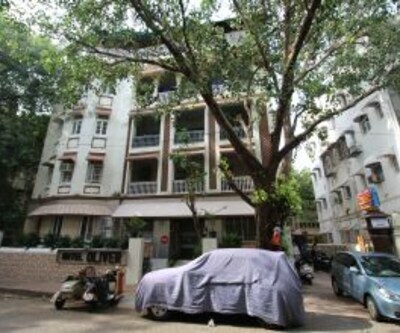 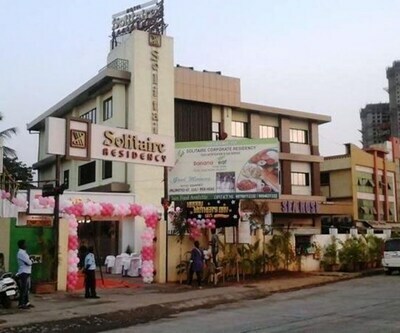 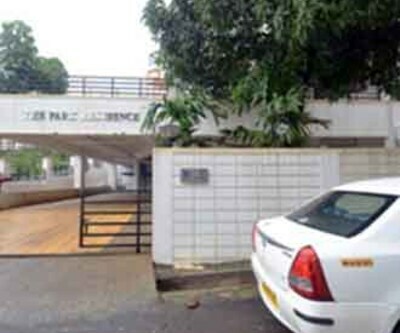 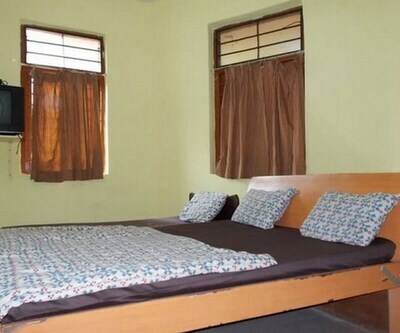 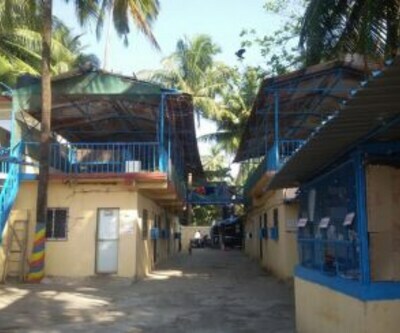 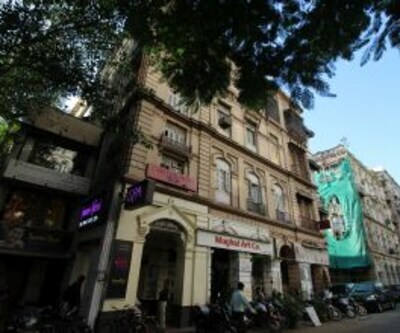 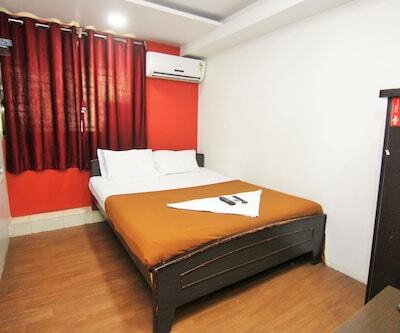 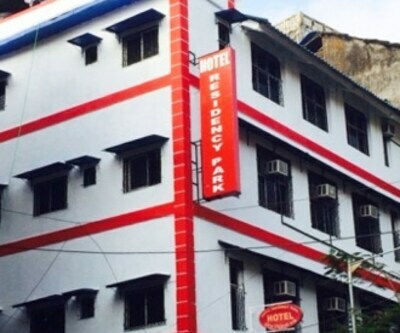 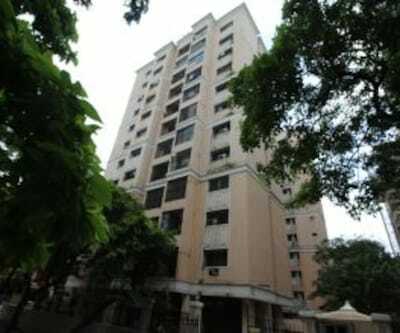 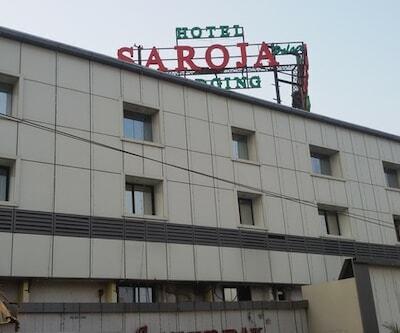 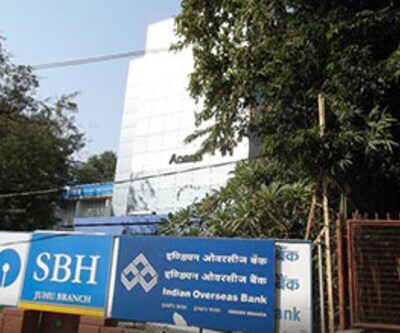 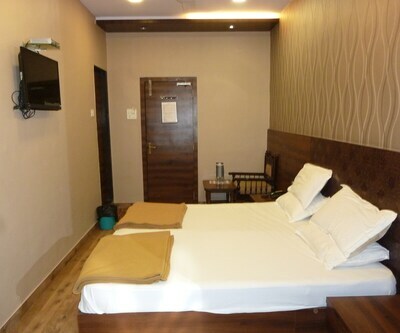 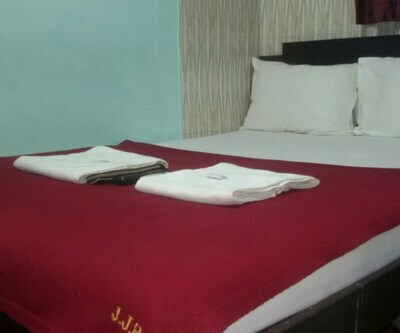 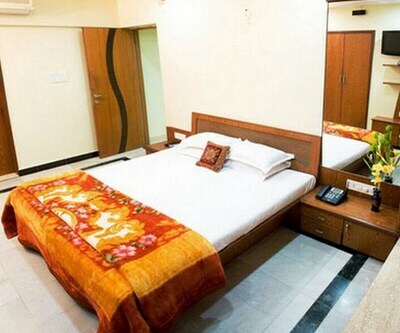 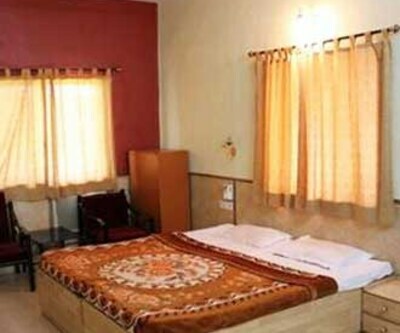 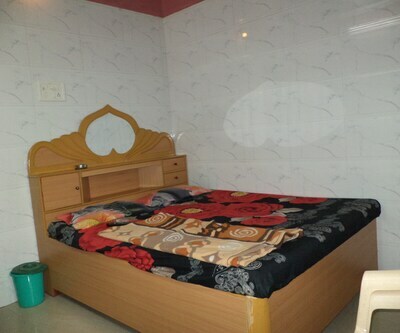 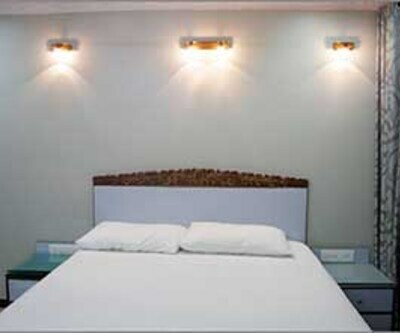 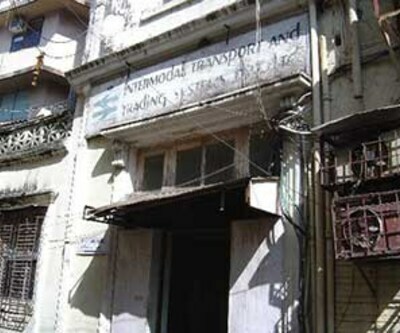 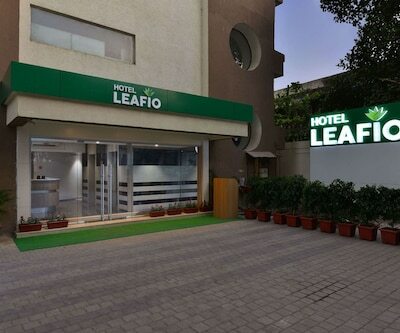 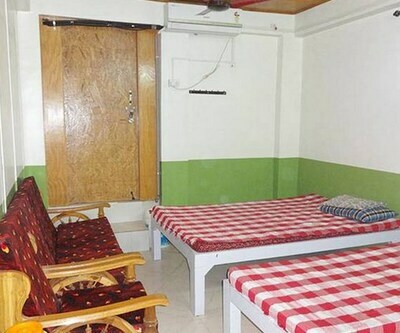 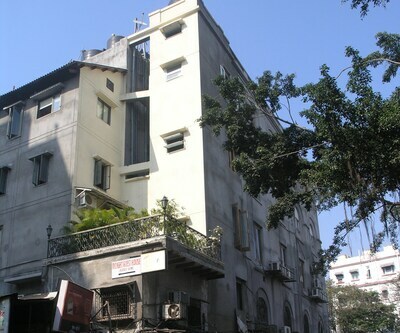 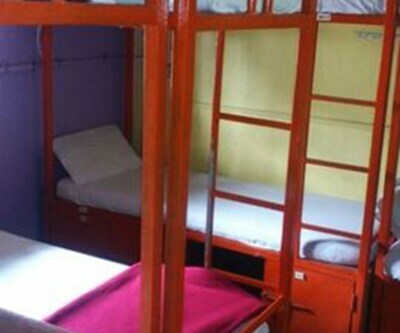 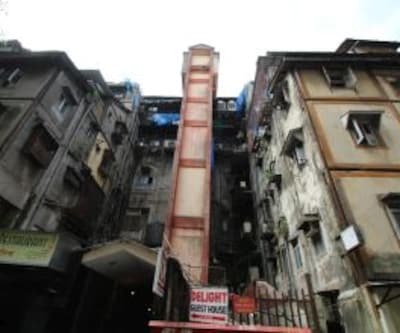 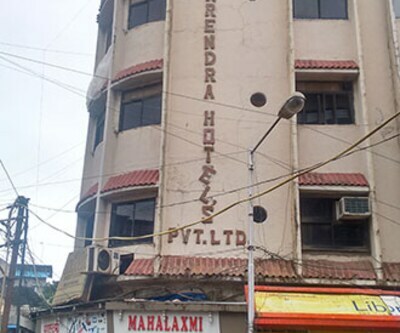 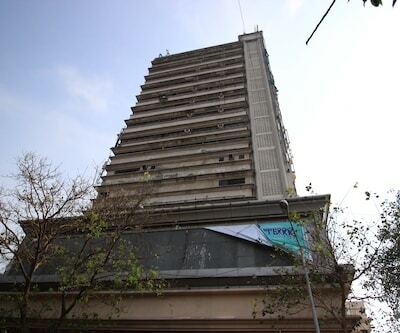 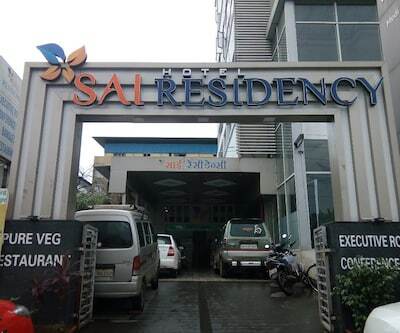 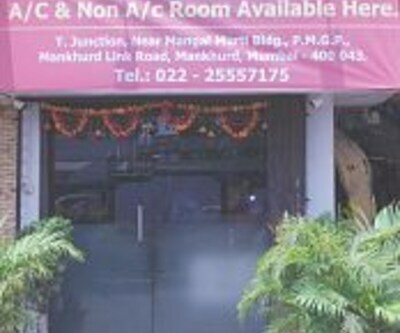 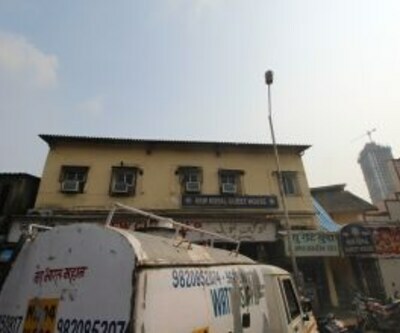 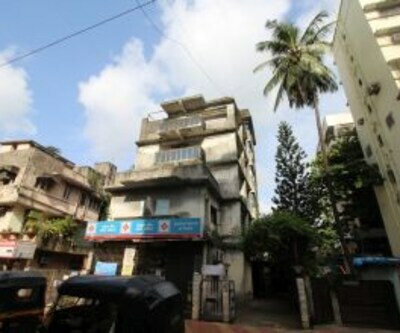 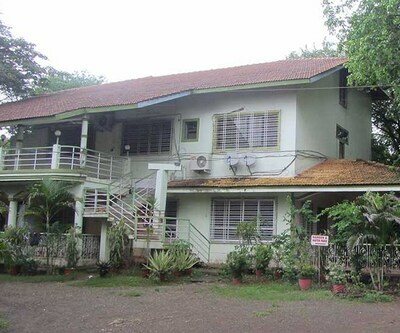 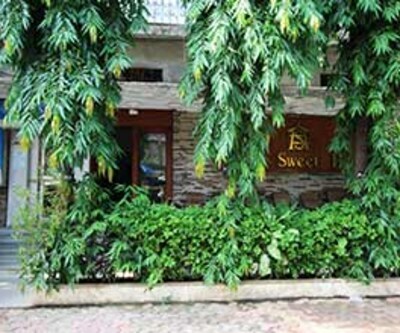 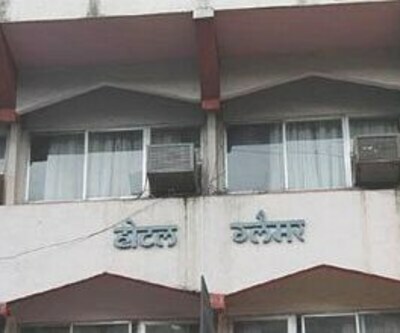 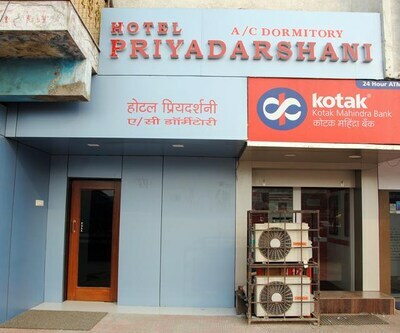 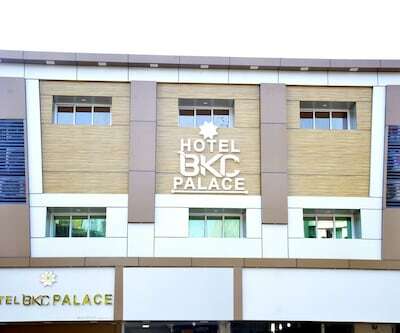 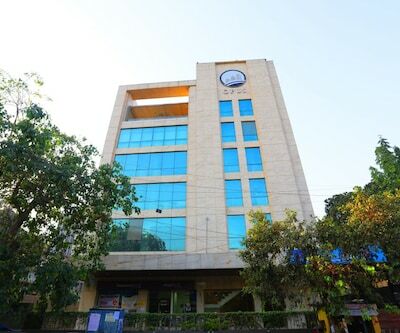 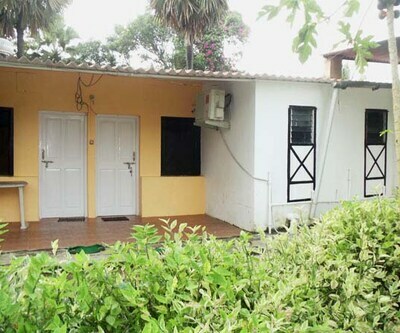 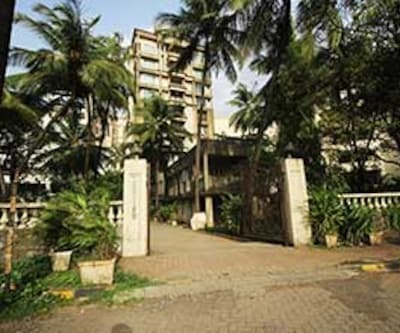 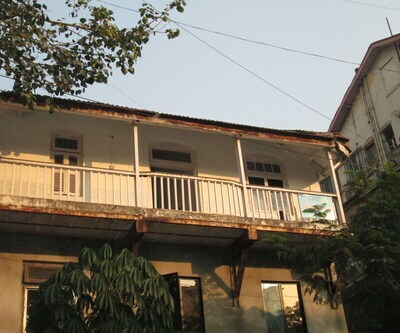 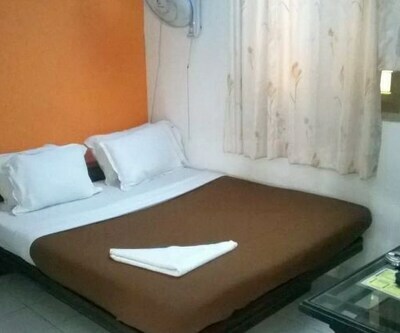 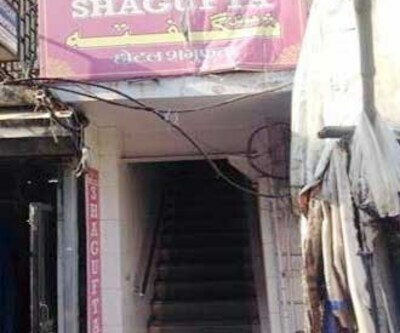 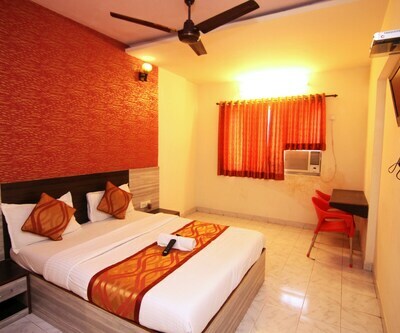 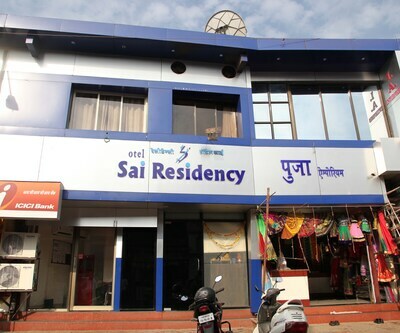 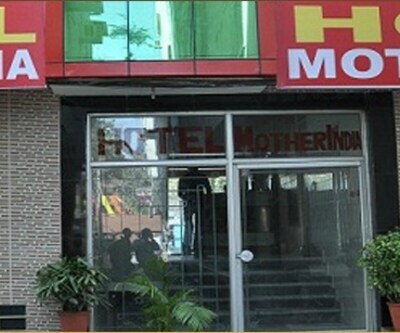 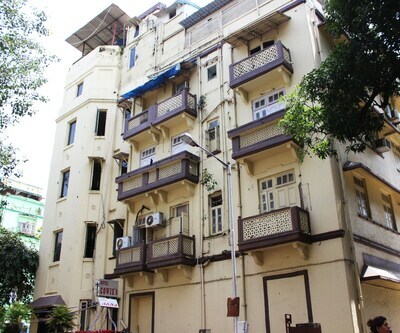 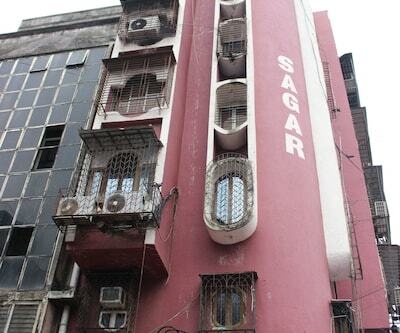 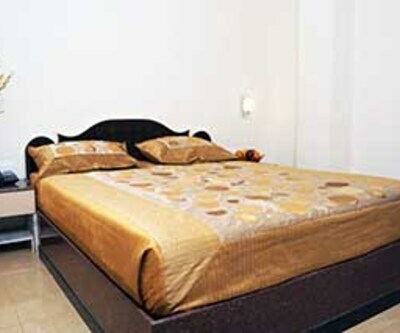 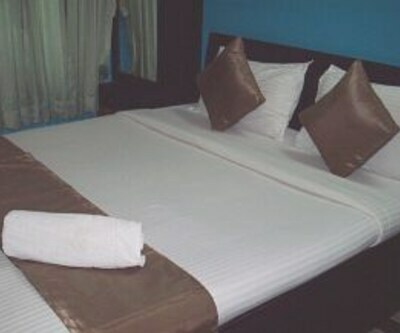 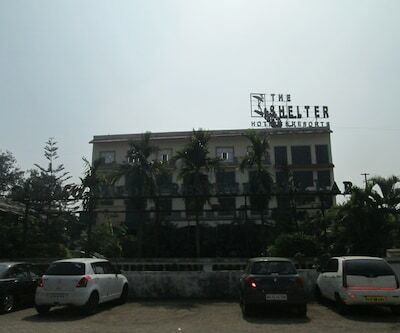 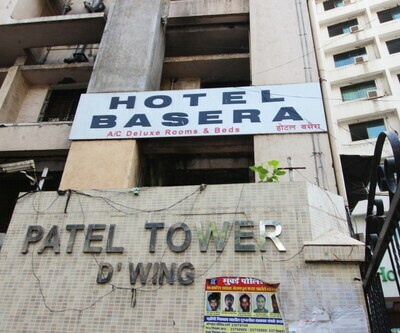 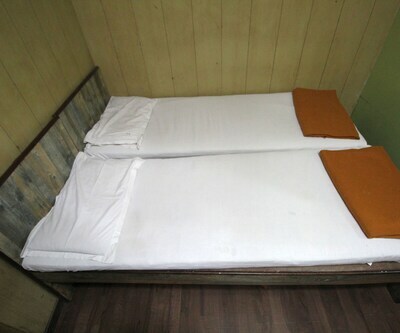 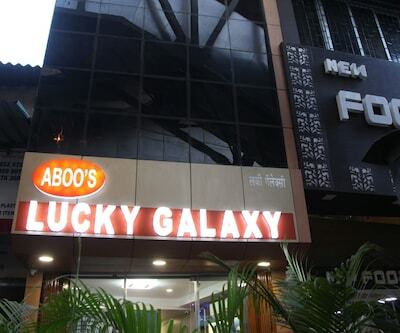 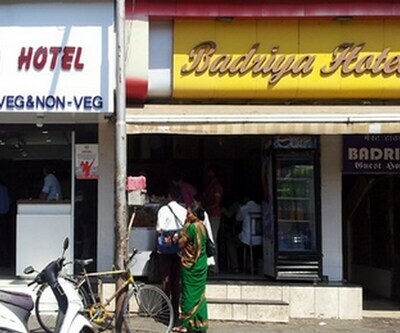 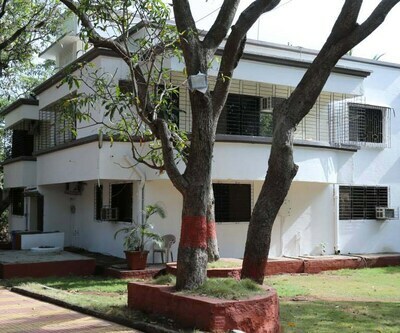 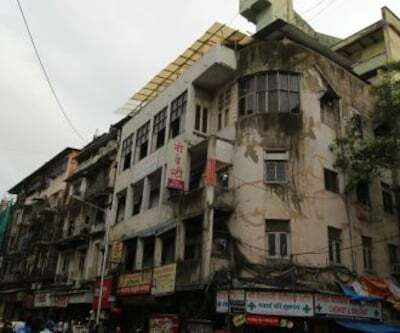 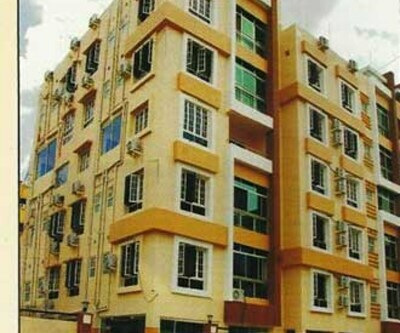 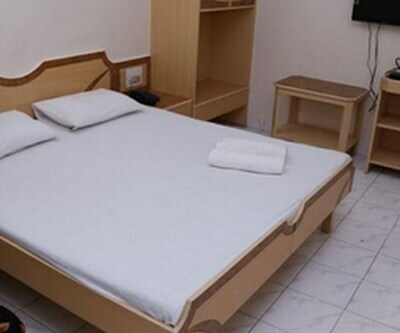 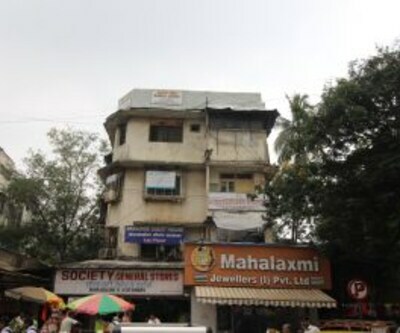 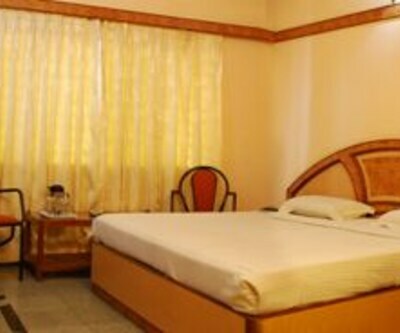 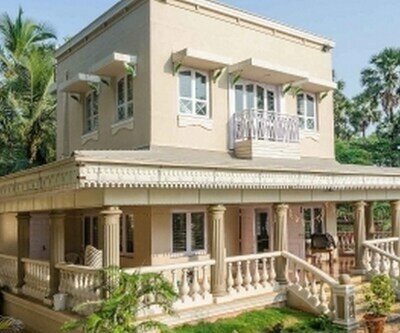 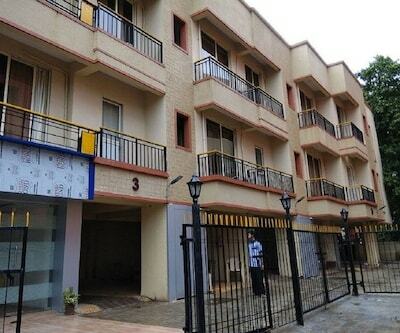 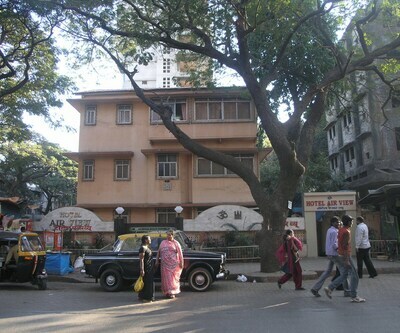 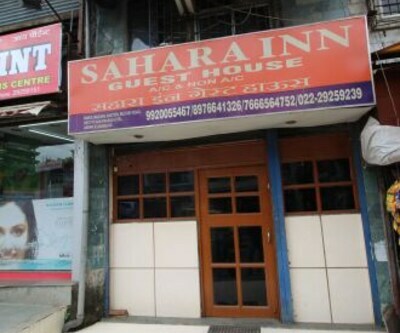 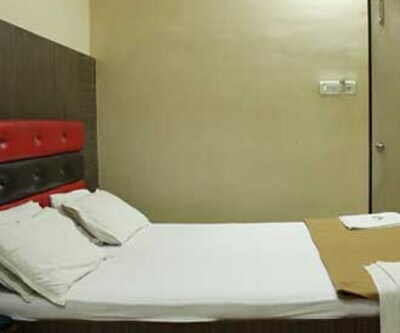 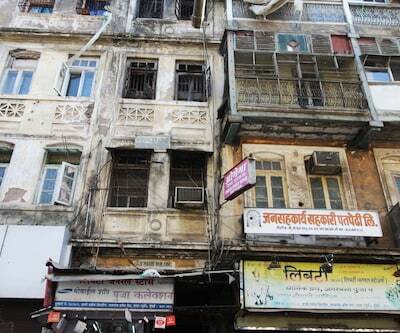 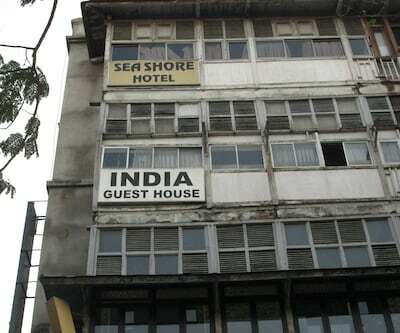 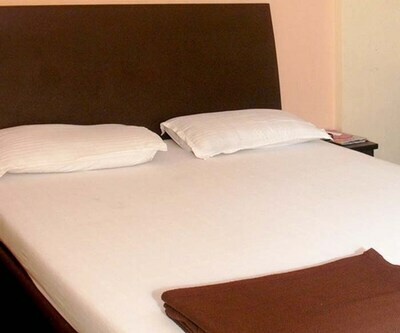 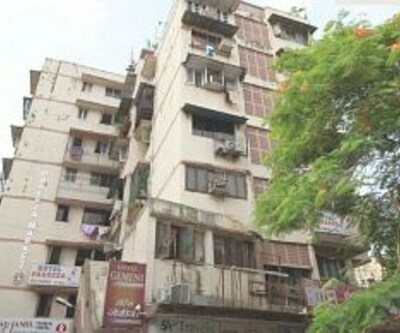 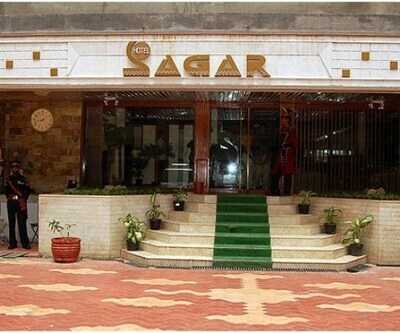 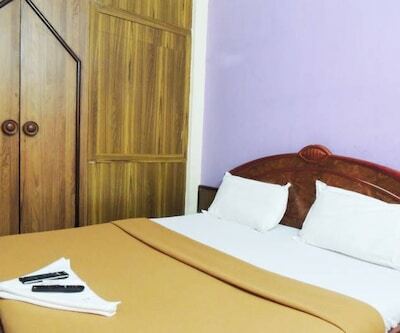 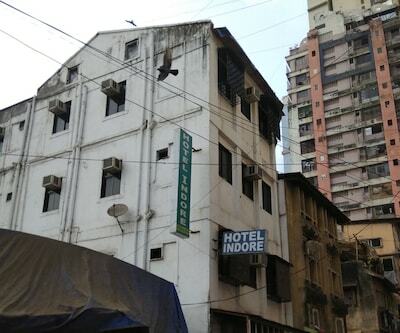 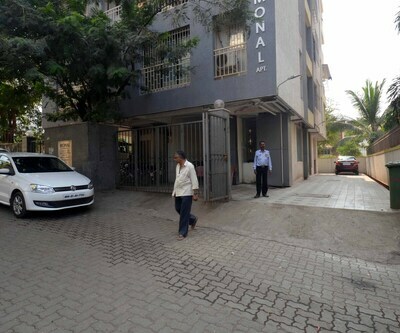 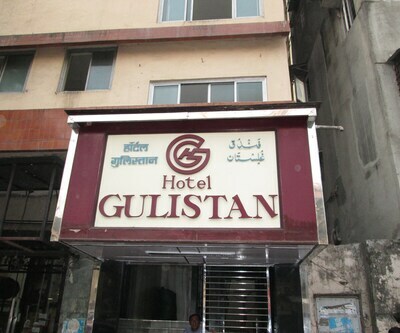 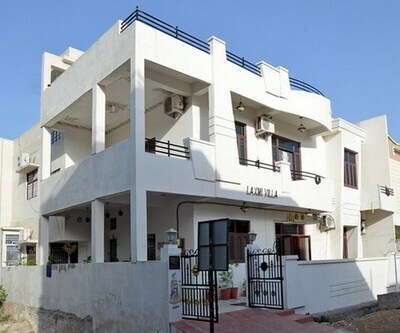 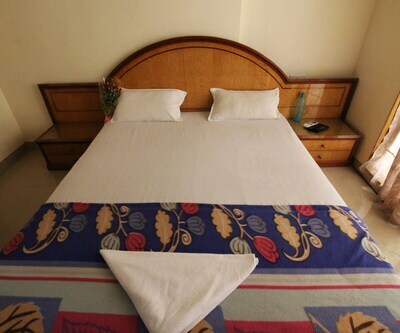 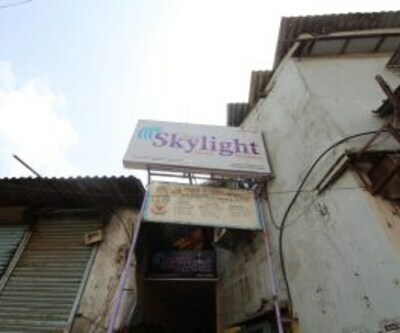 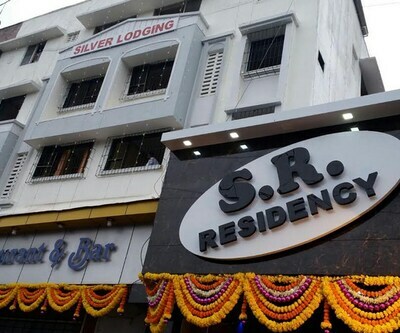 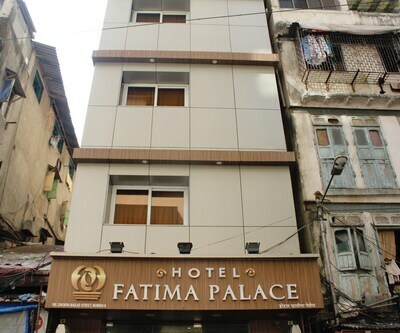 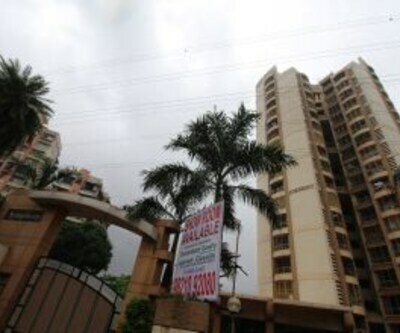 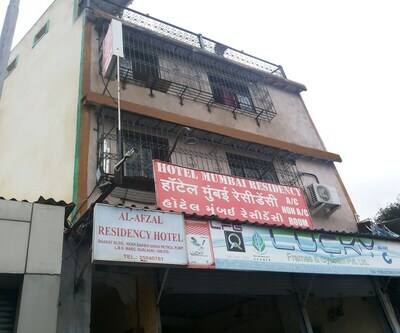 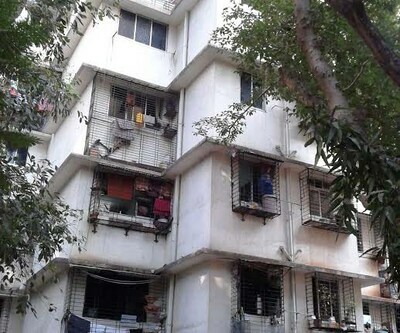 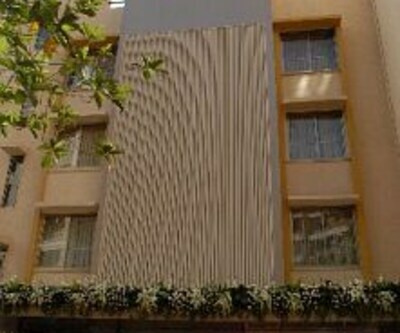 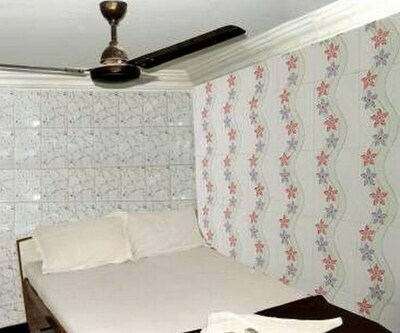 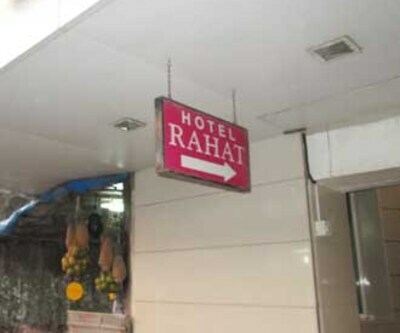 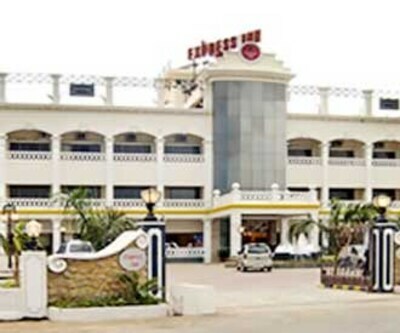 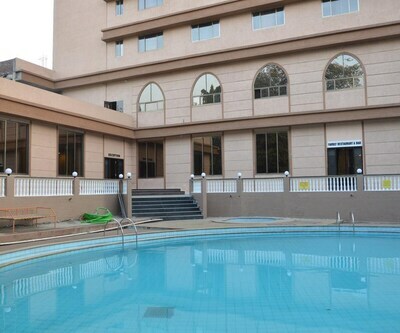 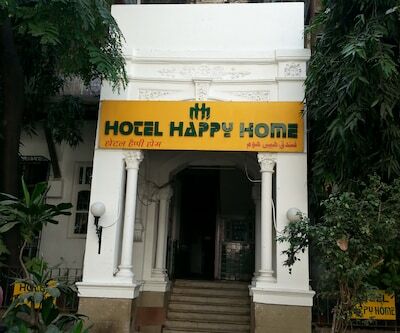 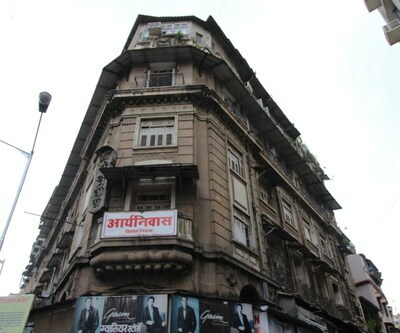 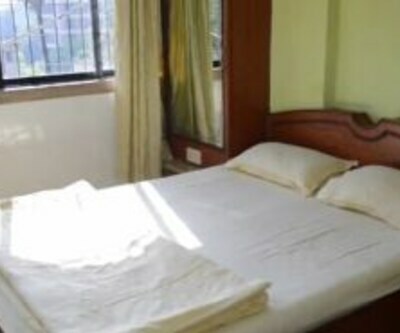 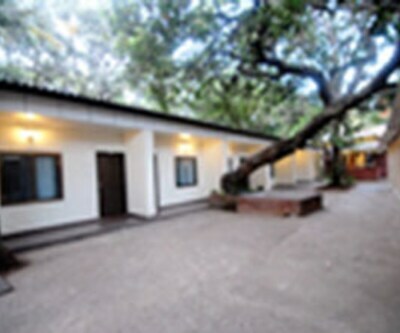 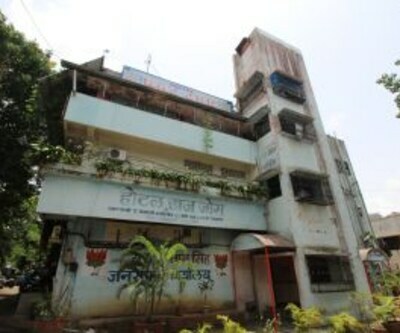 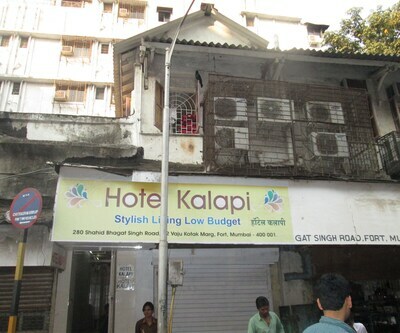 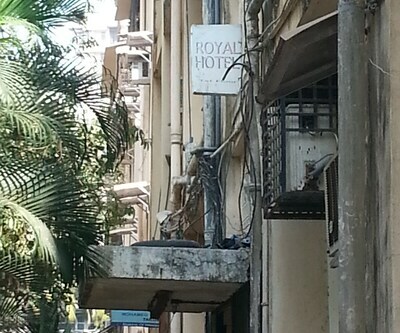 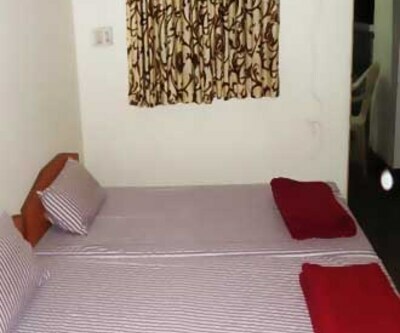 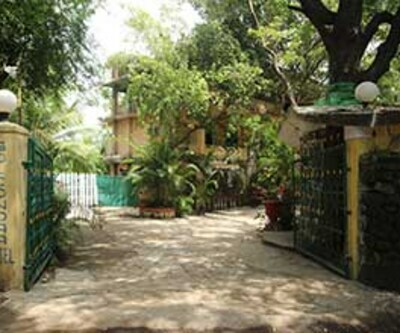 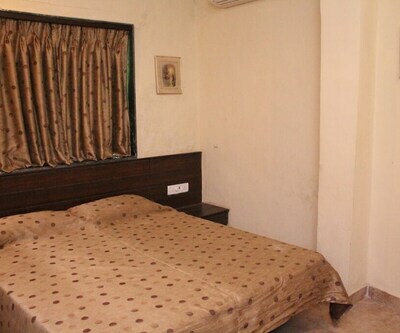 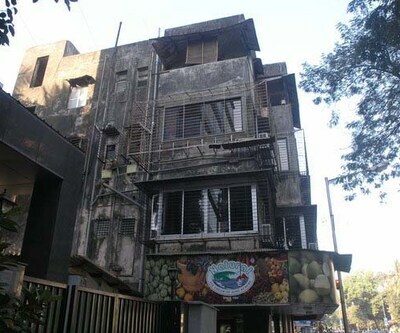 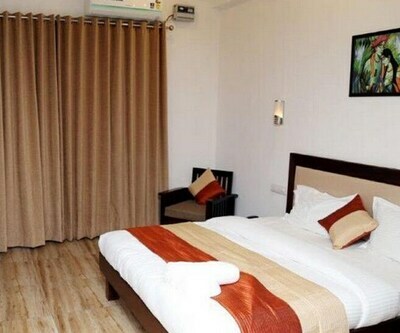 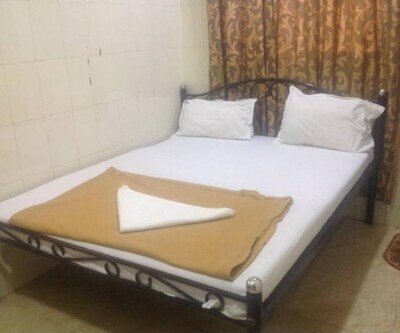 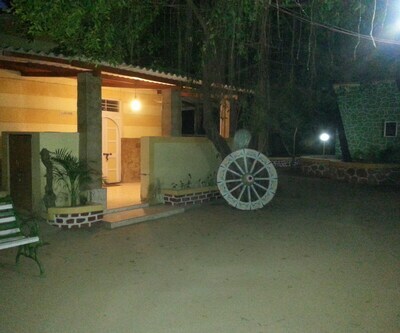 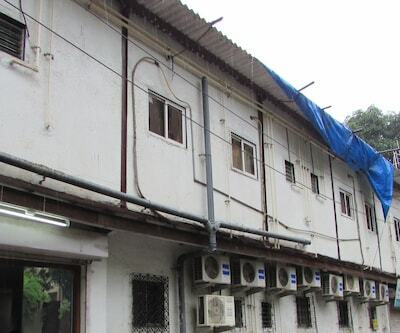 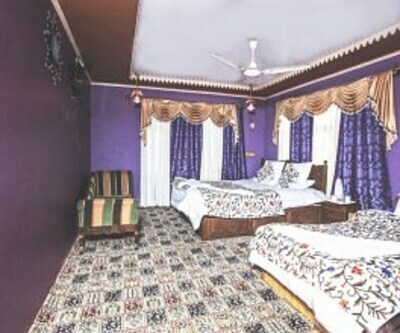 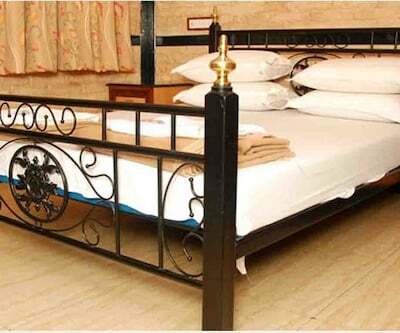 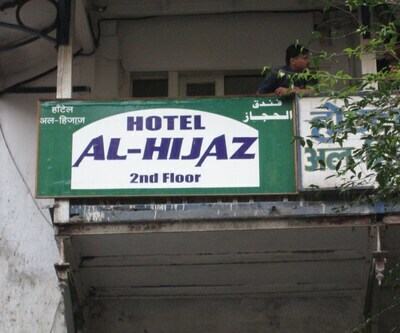 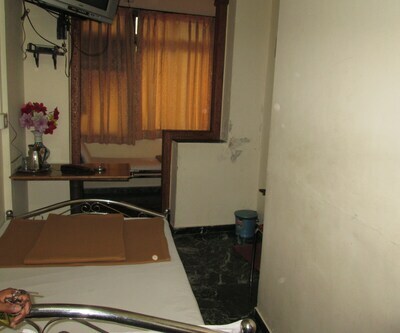 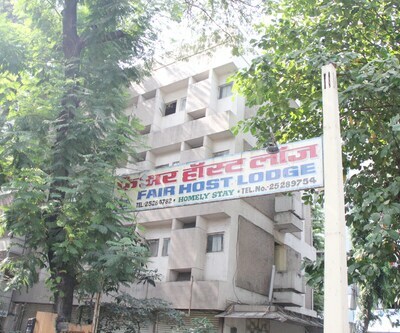 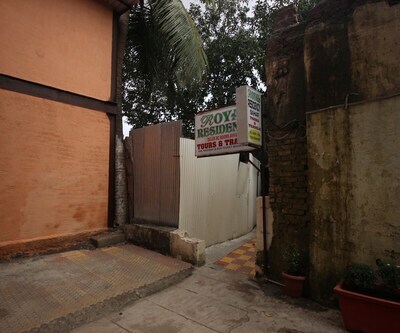 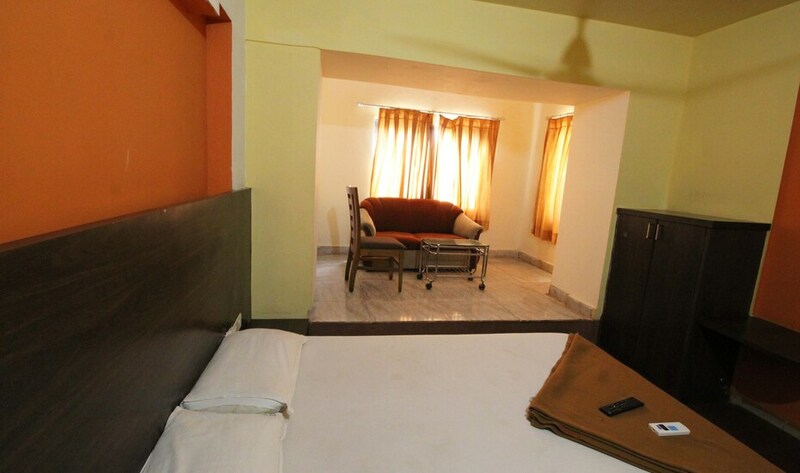 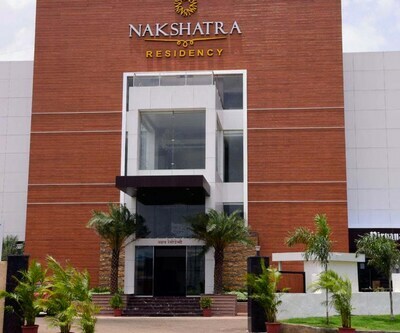 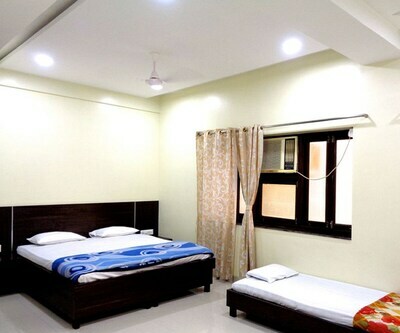 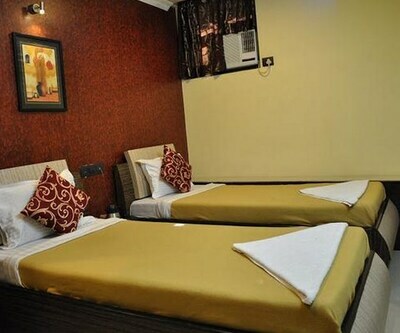 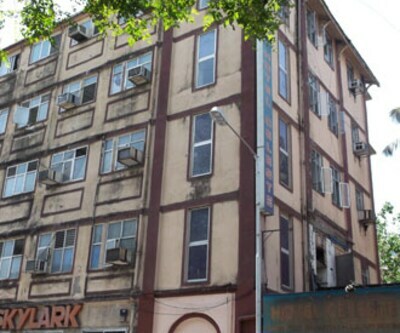 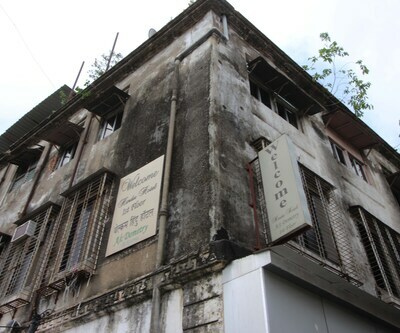 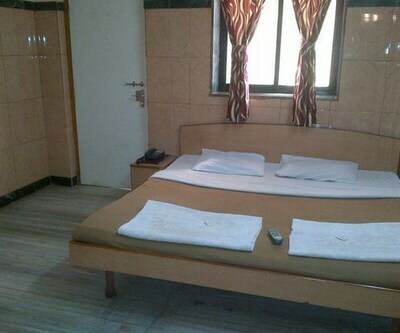 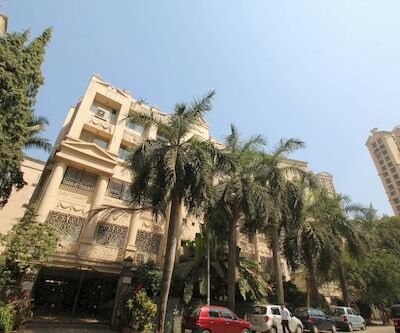 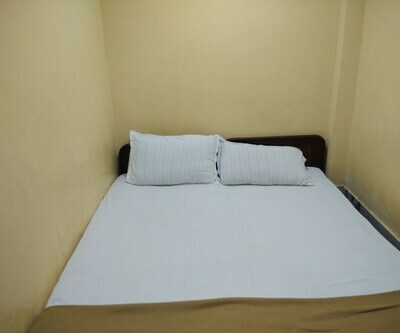 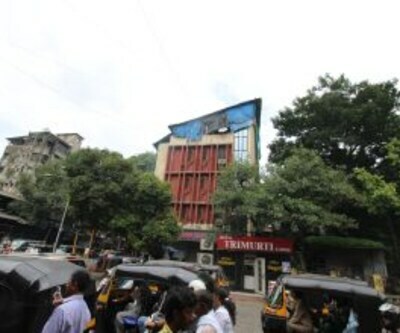 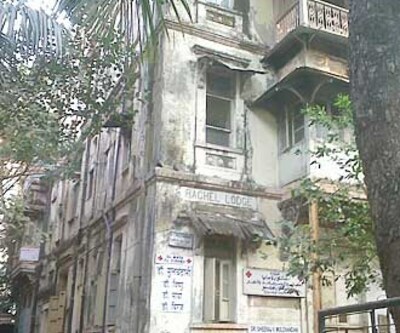 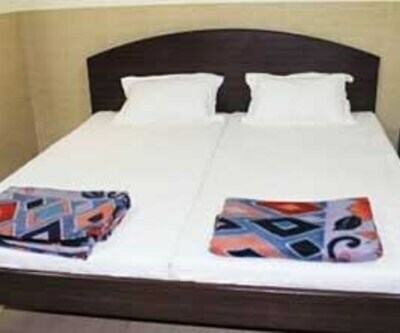 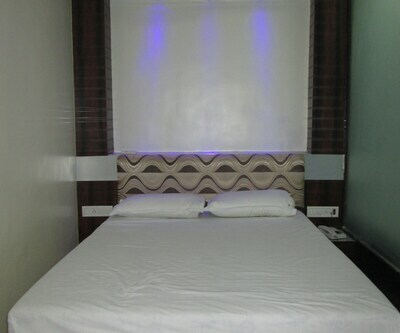 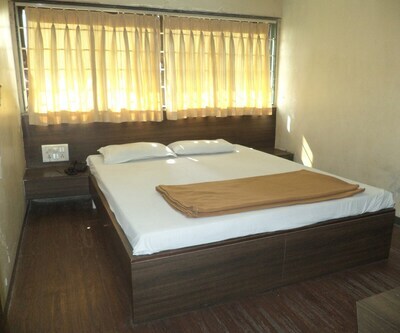 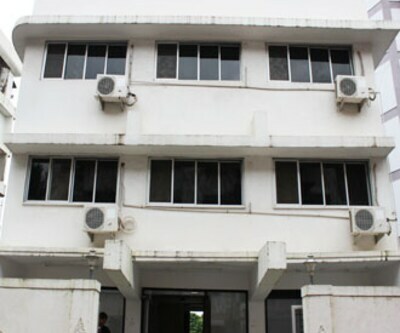 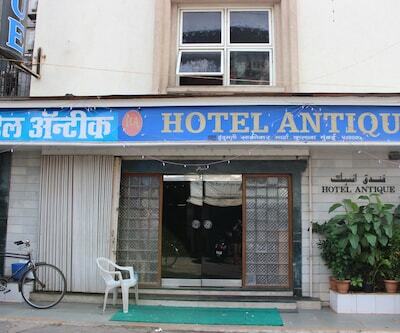 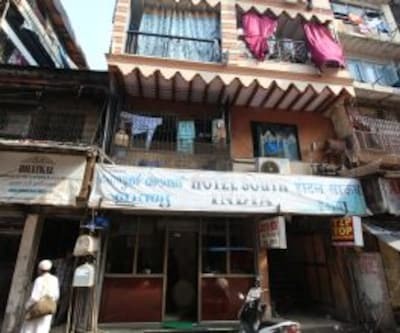 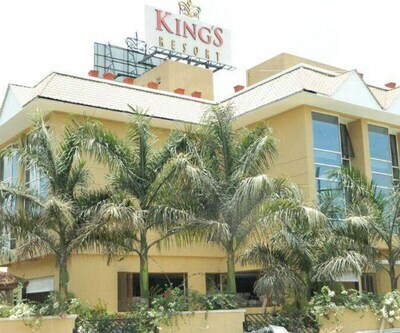 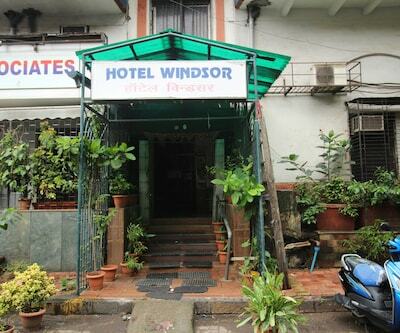 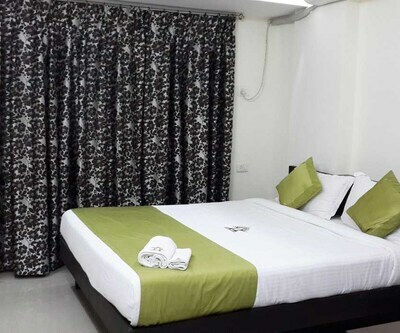 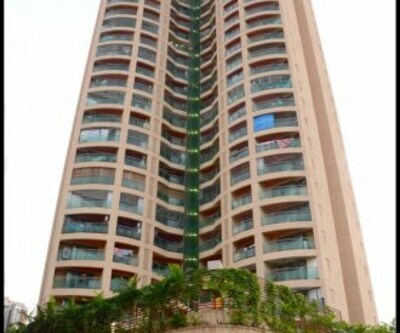 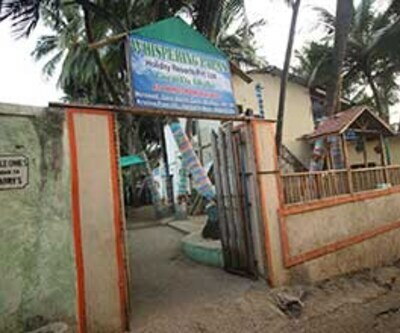 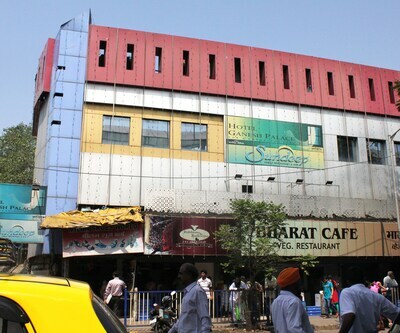 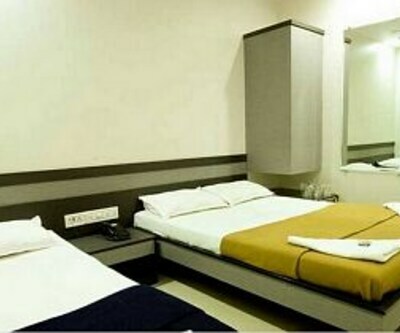 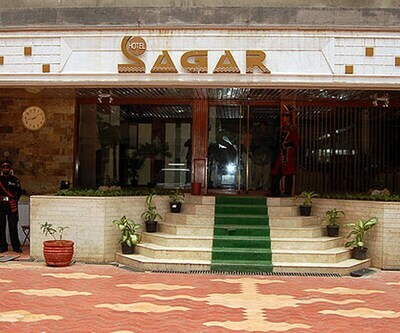 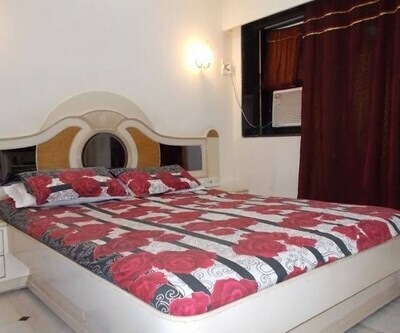 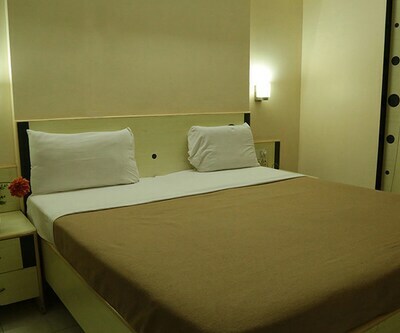 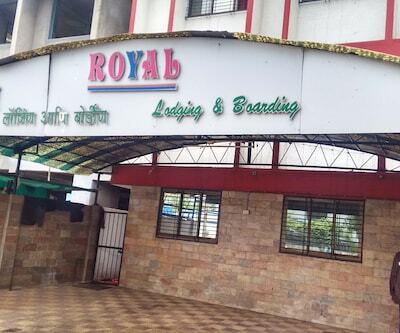 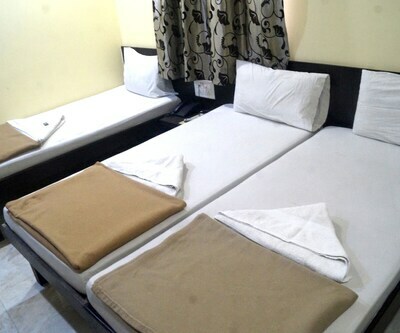 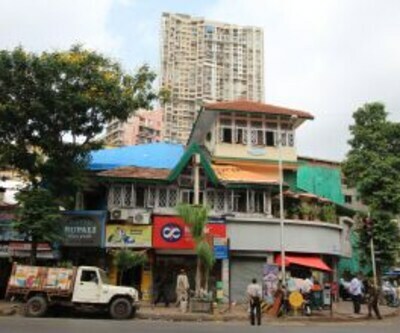 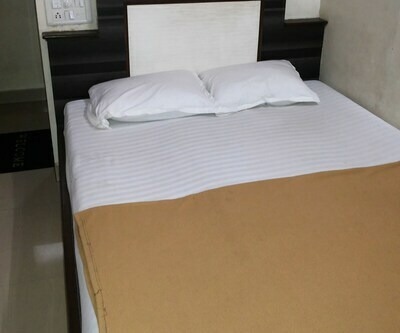 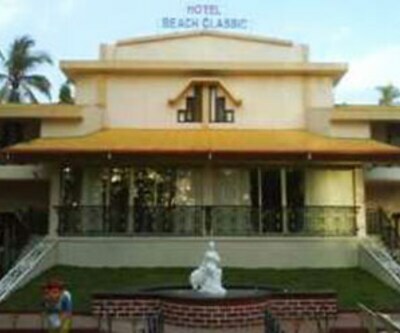 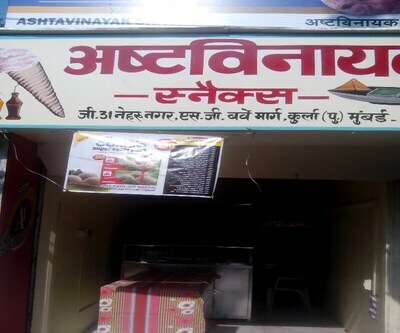 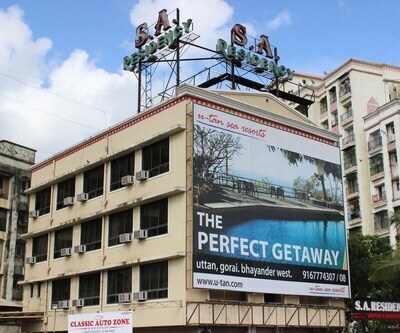 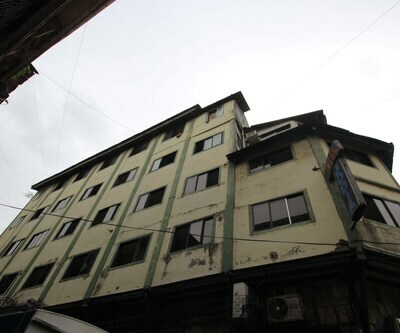 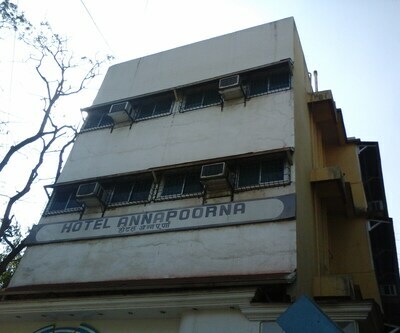 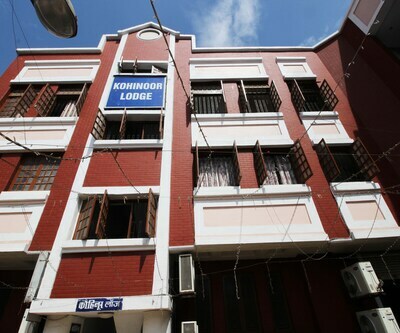 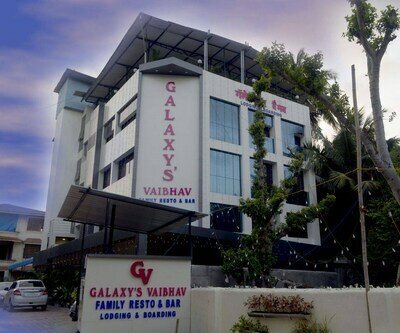 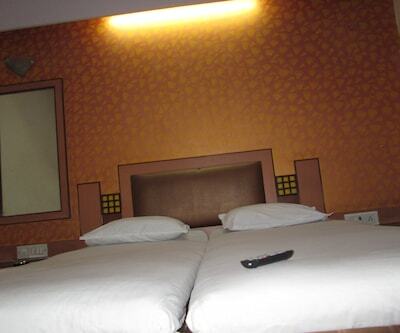 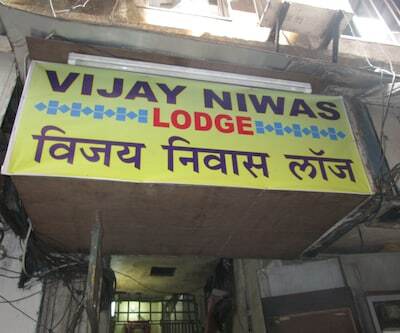 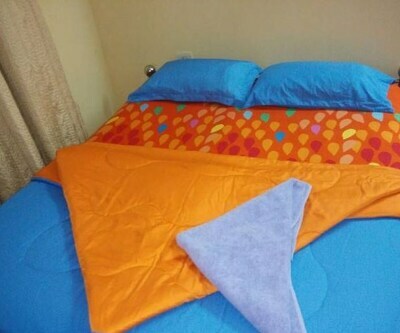 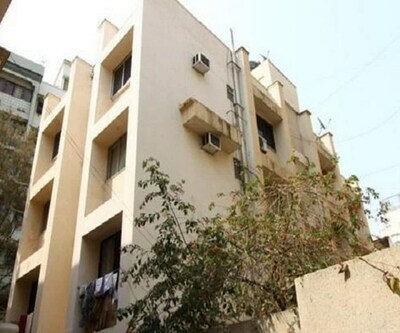 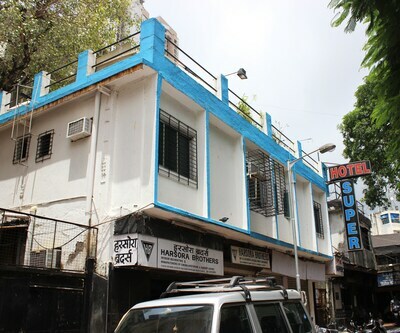 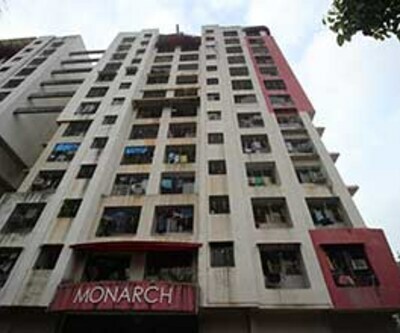 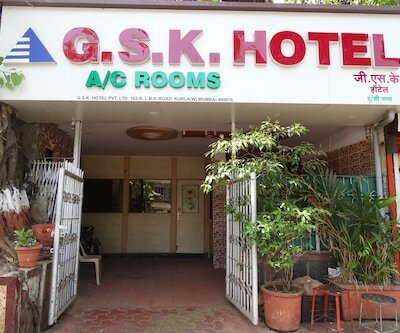 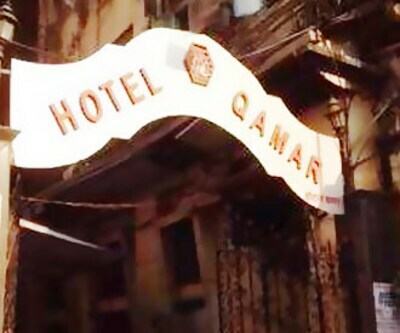 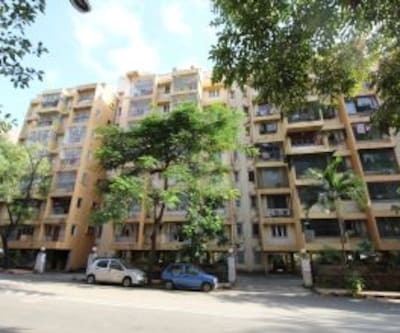 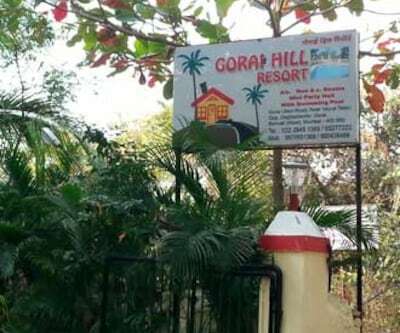 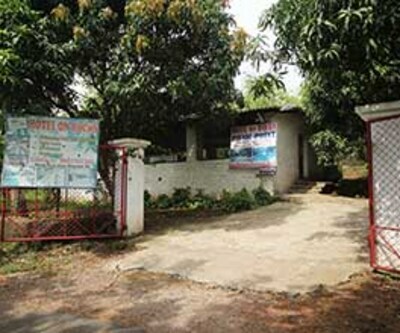 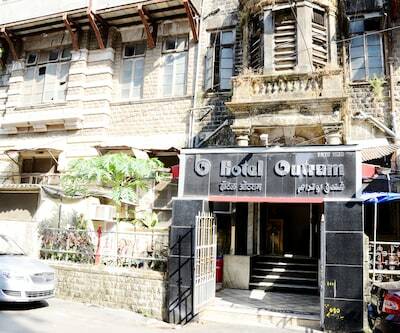 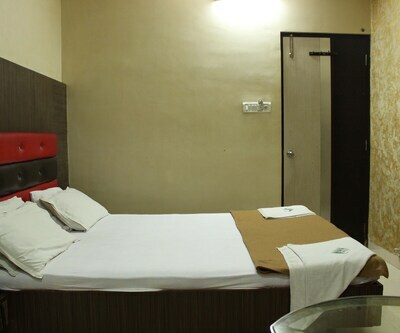 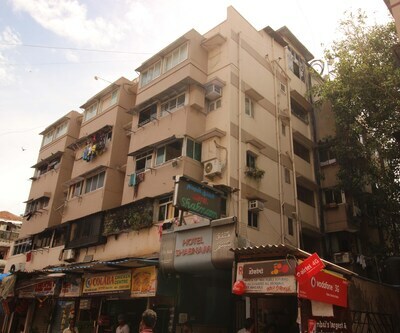 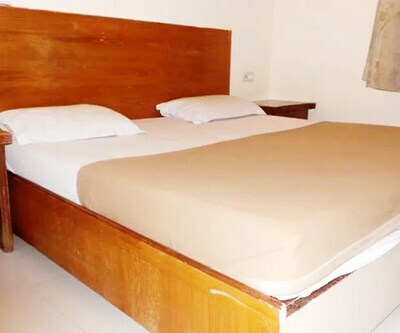 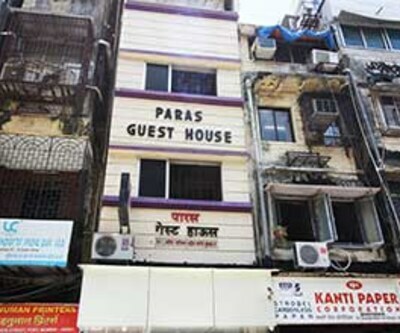 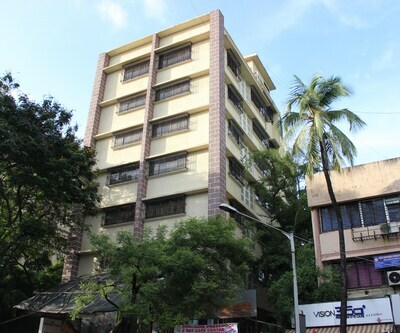 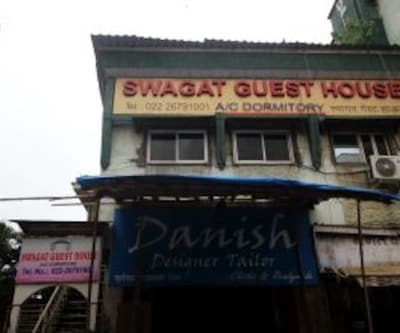 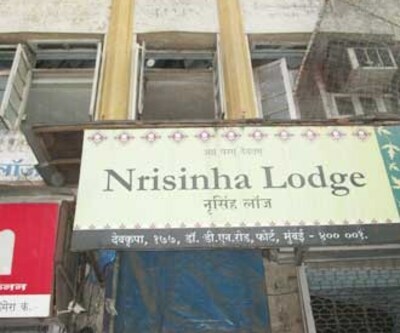 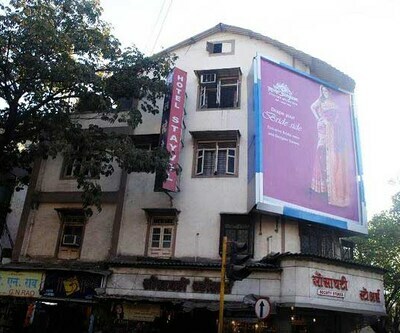 It is a budget hotel in Mumbai that is accessible from the Thane Railway Station (0.1 km). 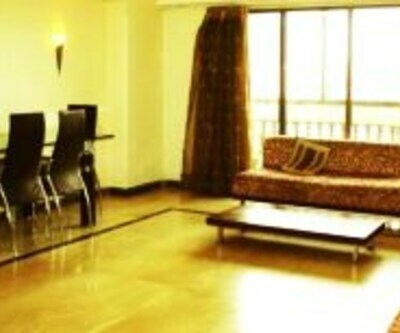 It has a front desk facility.Spread across 4 floors, this stay has 20 AC rooms. 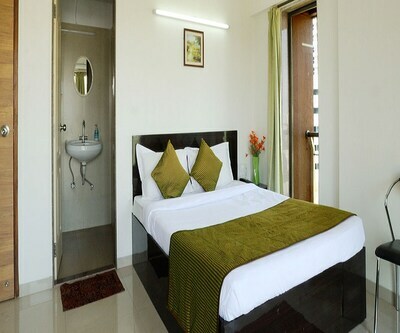 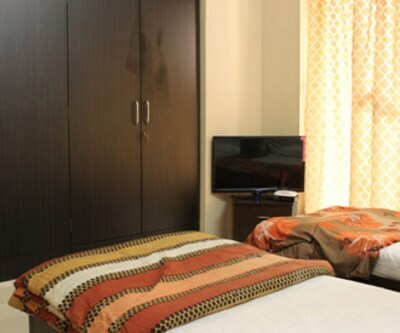 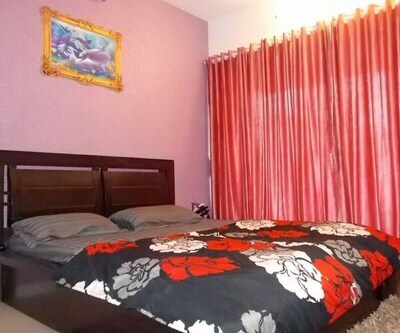 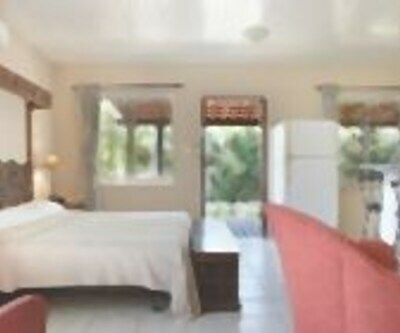 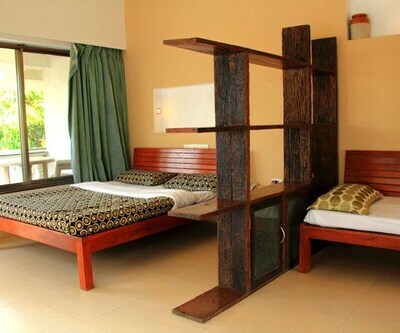 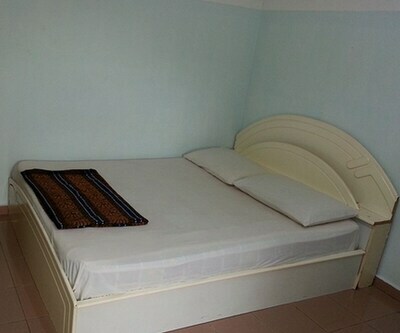 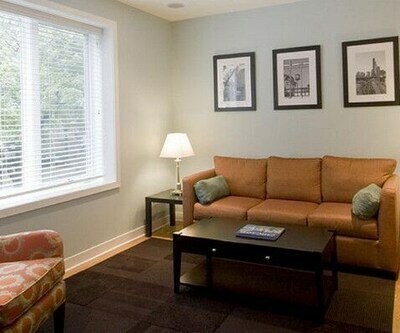 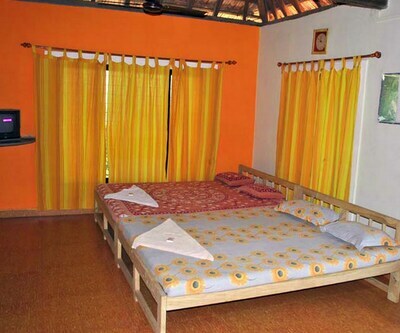 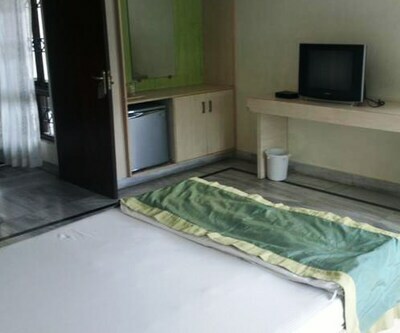 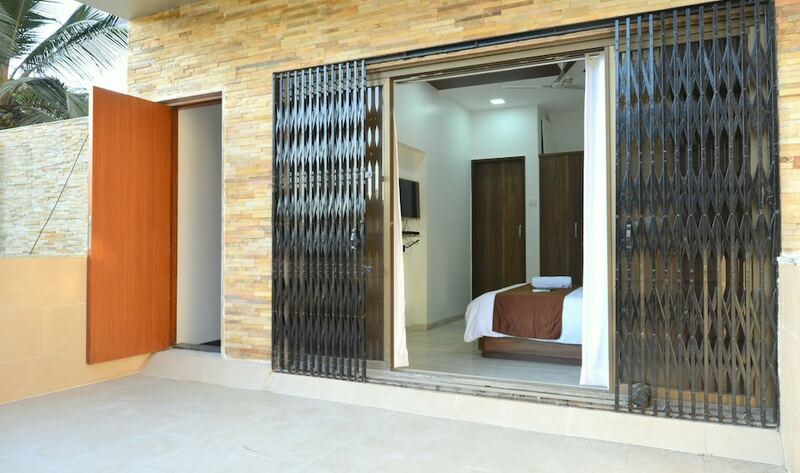 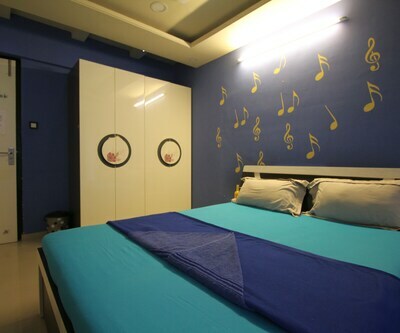 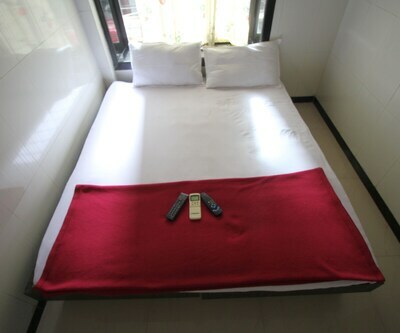 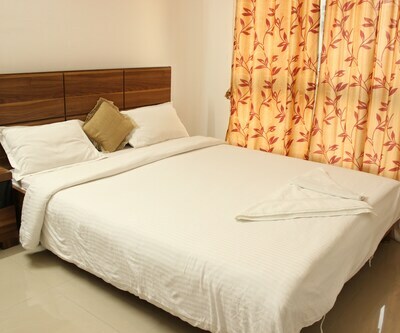 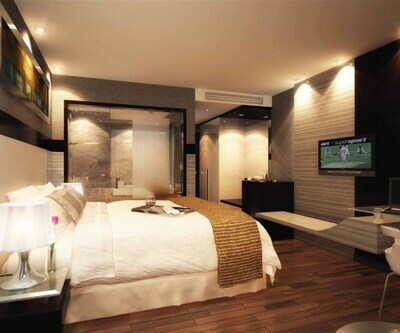 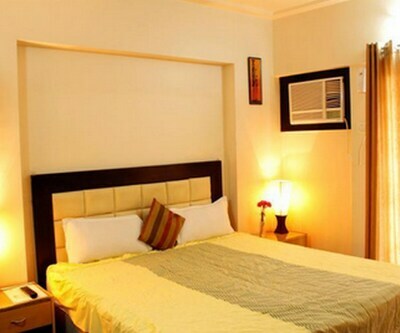 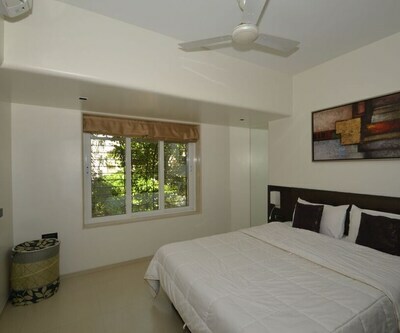 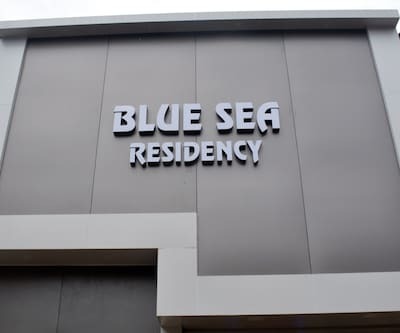 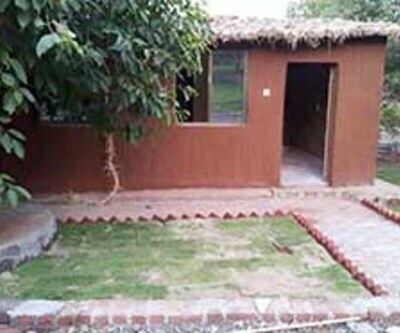 Each room is furnished with attached baths with hot/cold running water. 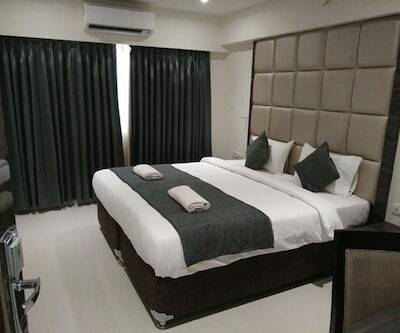 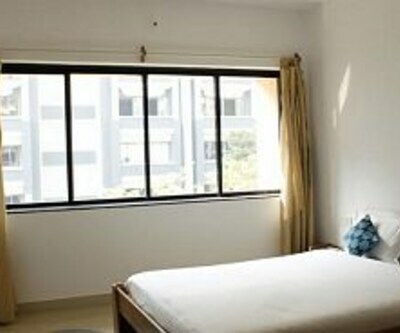 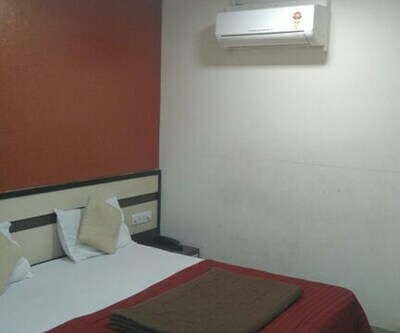 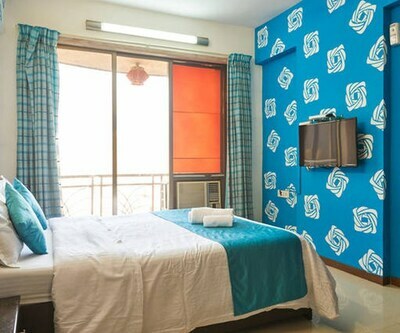 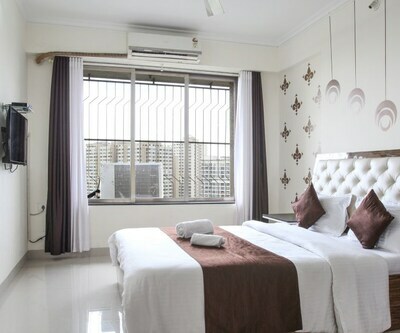 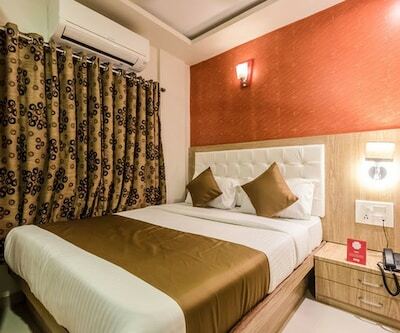 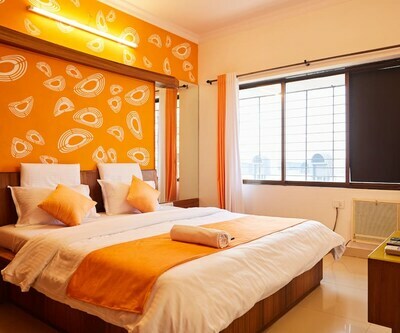 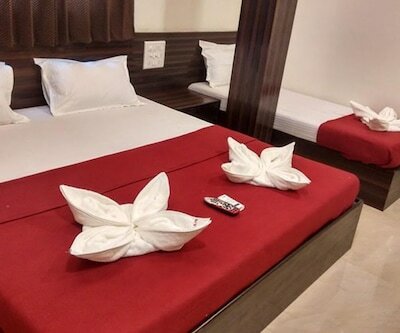 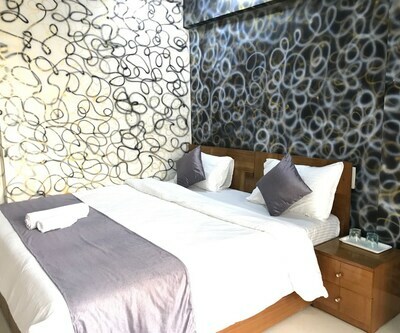 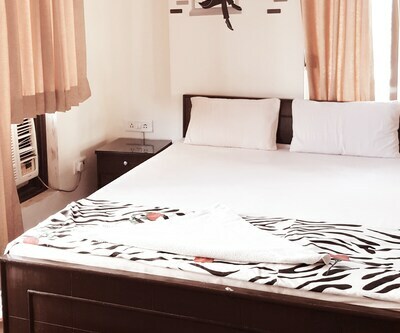 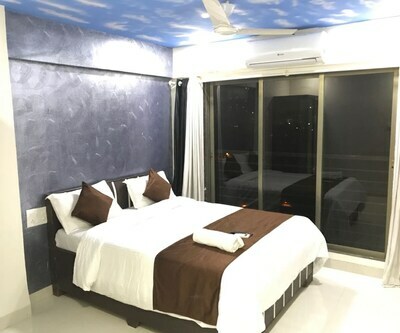 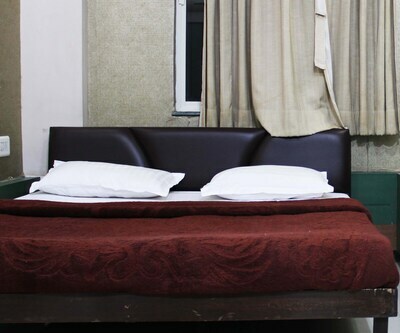 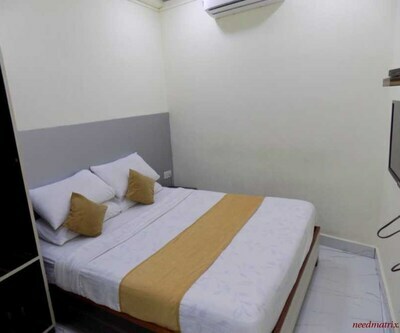 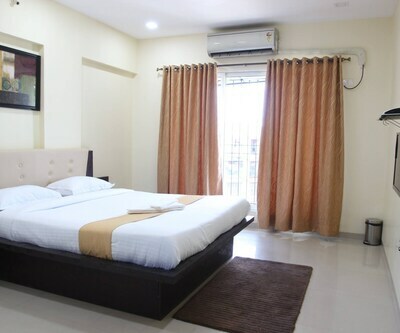 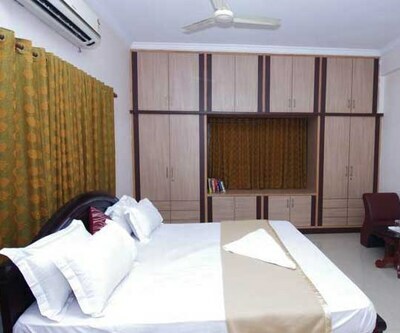 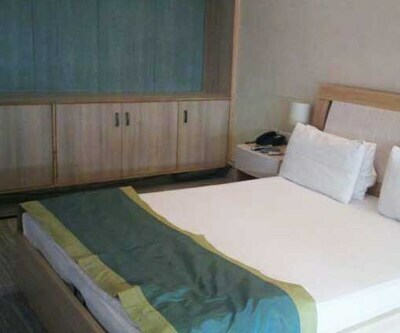 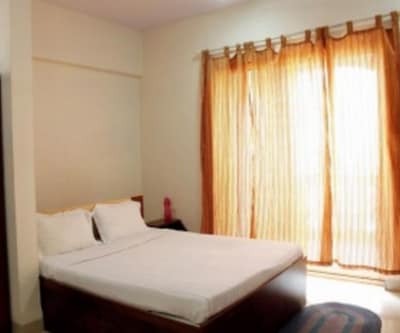 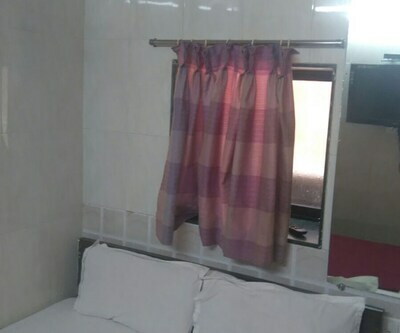 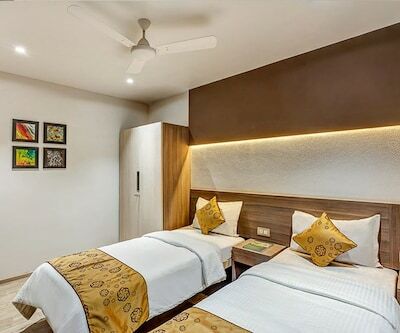 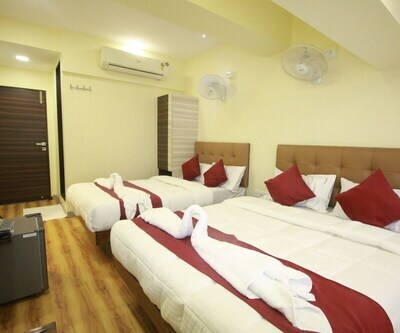 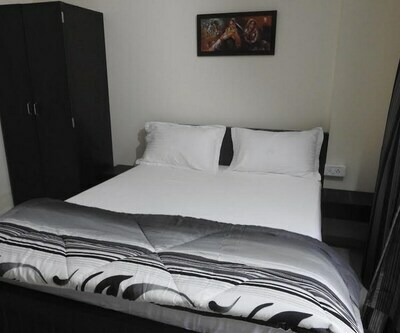 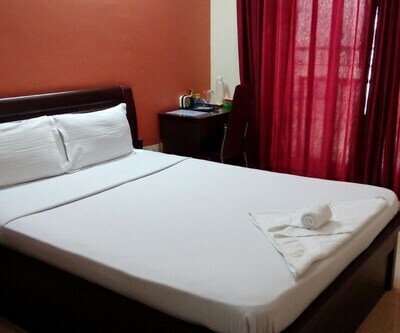 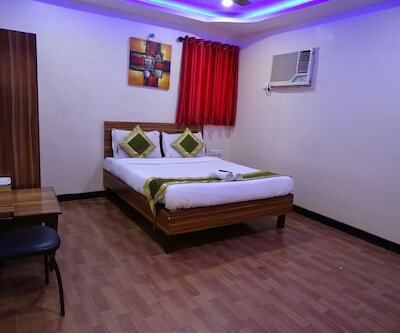 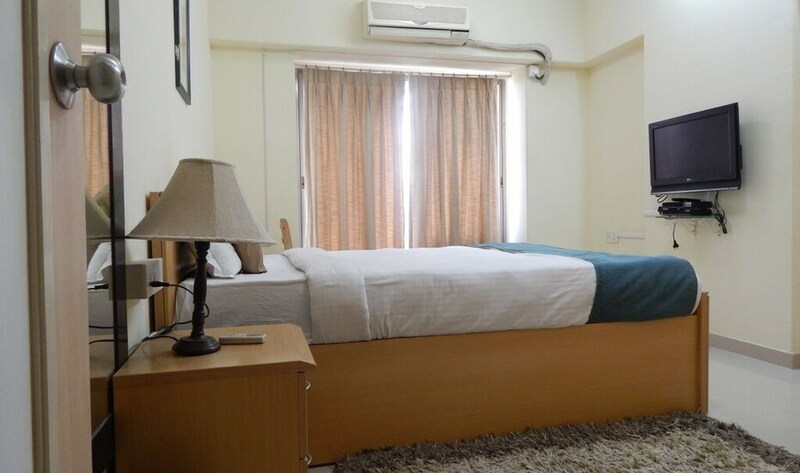 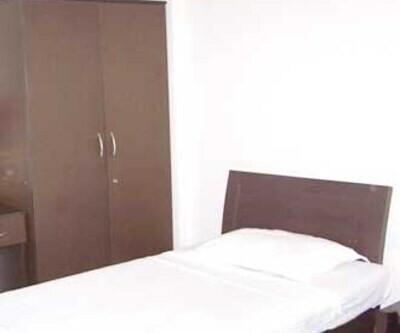 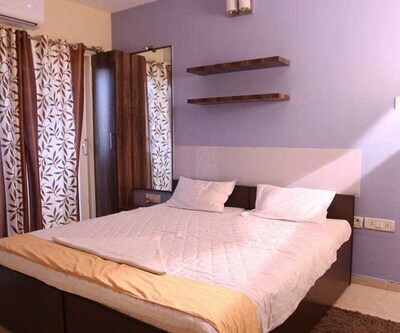 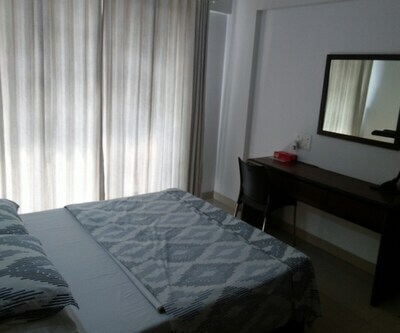 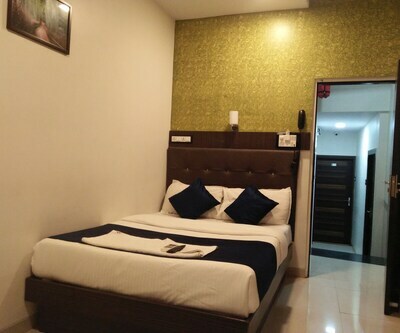 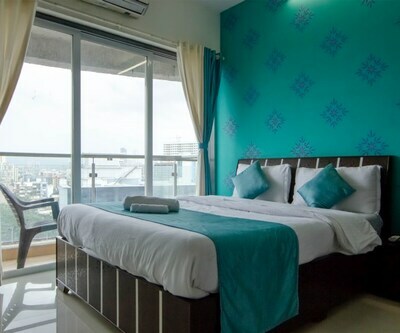 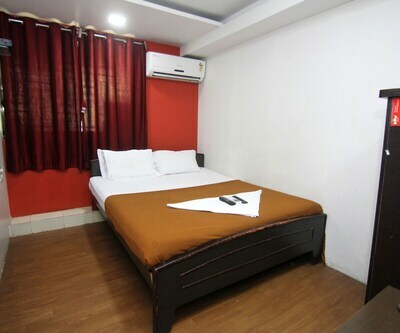 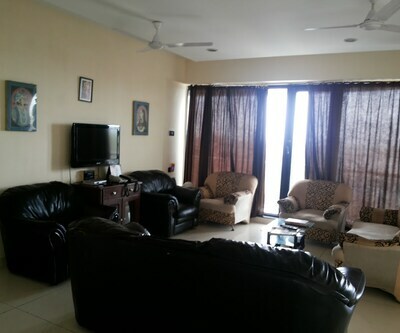 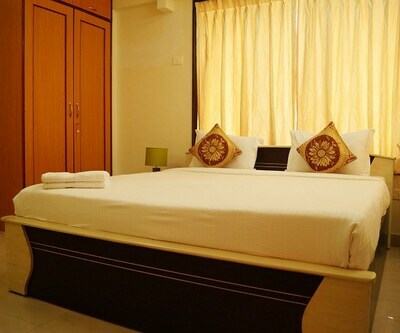 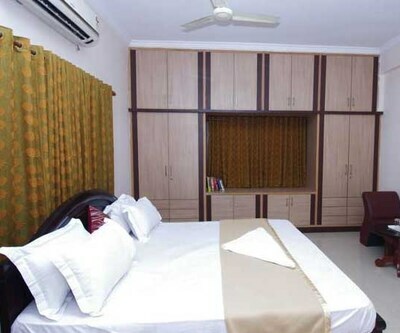 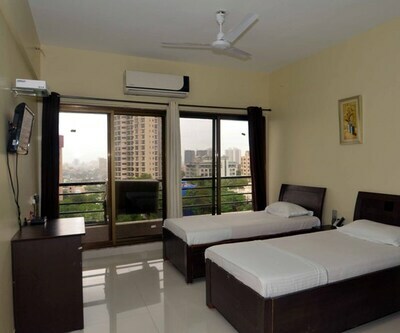 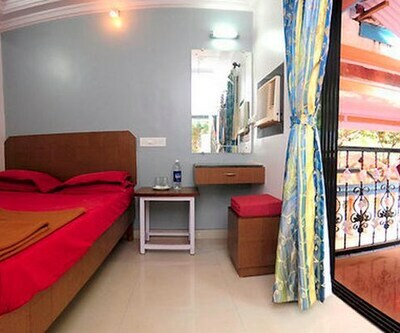 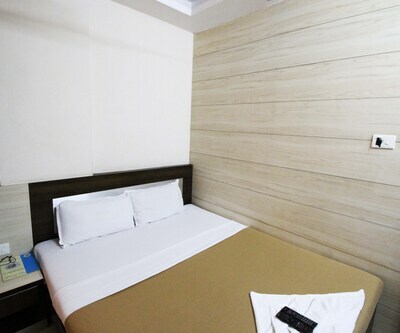 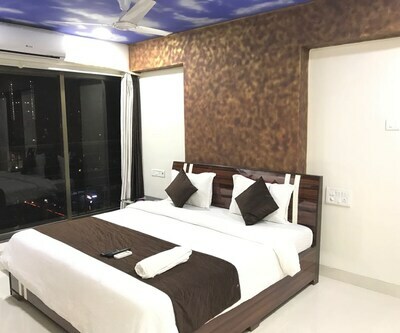 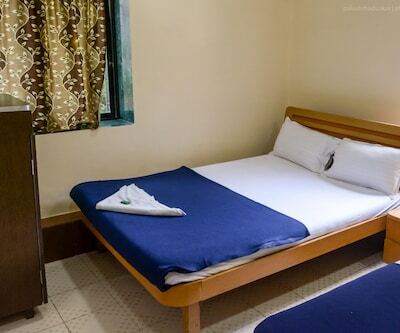 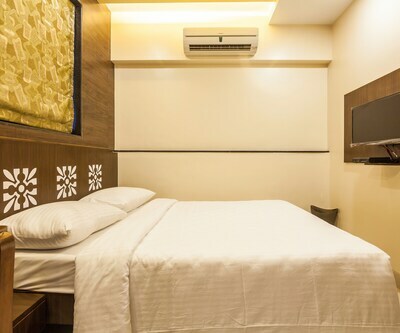 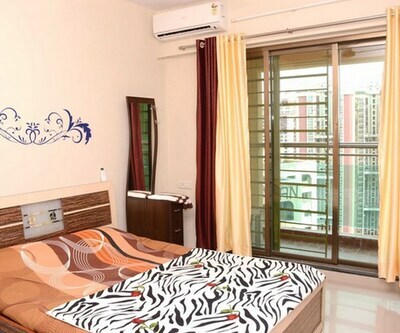 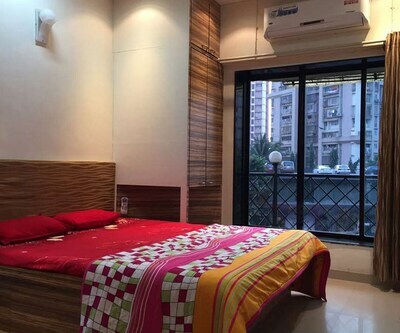 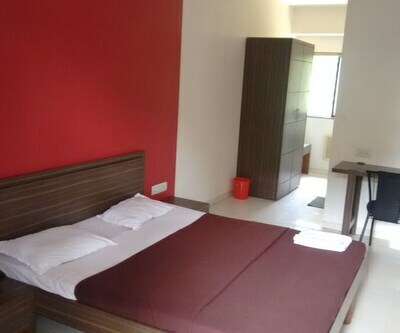 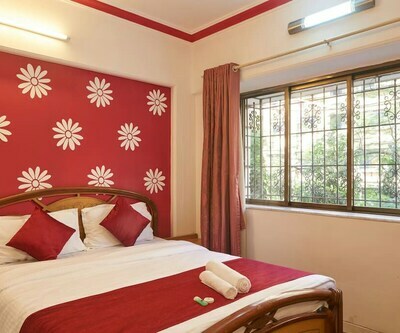 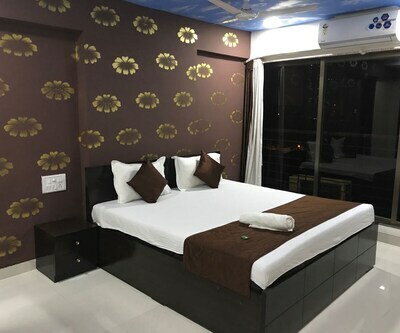 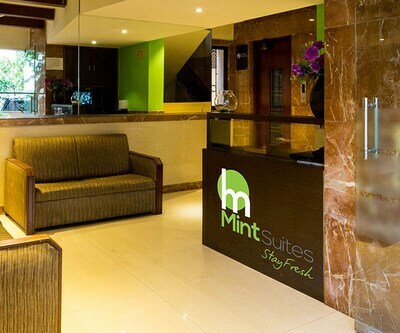 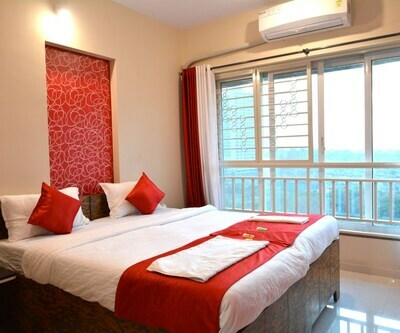 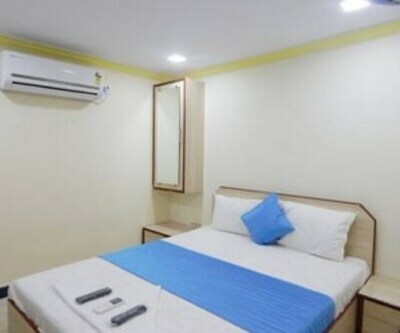 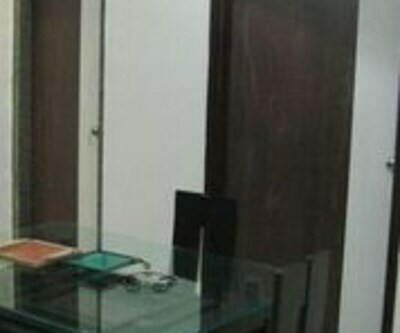 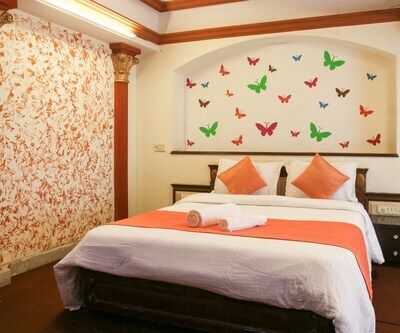 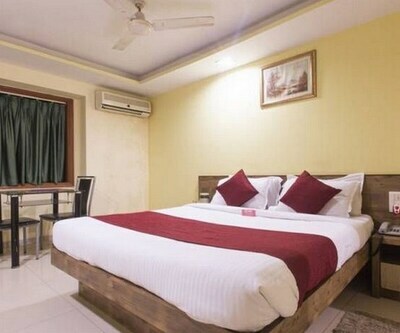 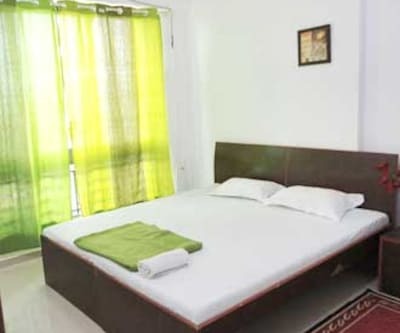 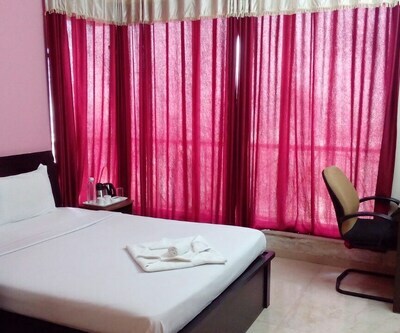 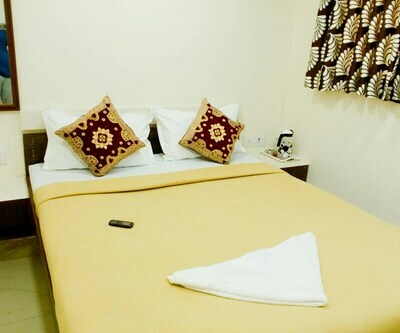 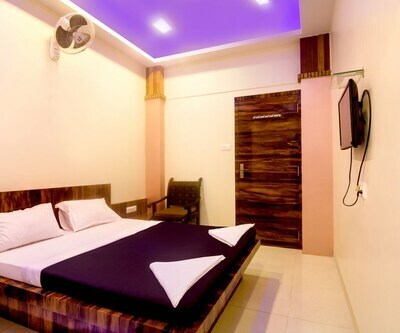 The rooms are equipped with LCD TVs, makeup mirrors, and multi-line phones.This Mumbai stay provides its guests with doctor-on-call, luggage storage, and laundry services. 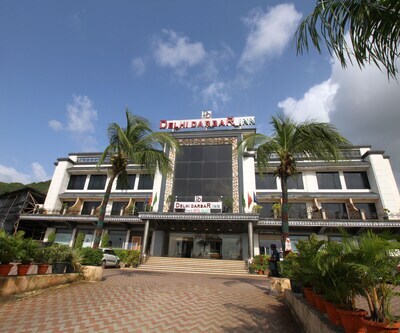 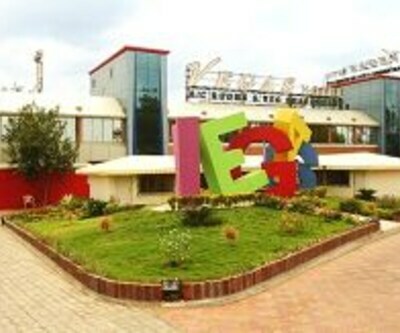 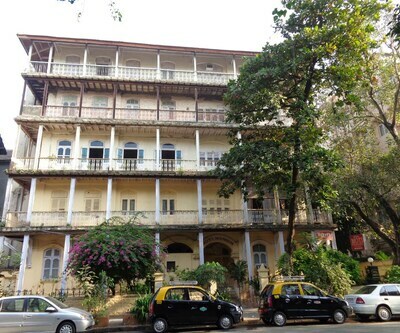 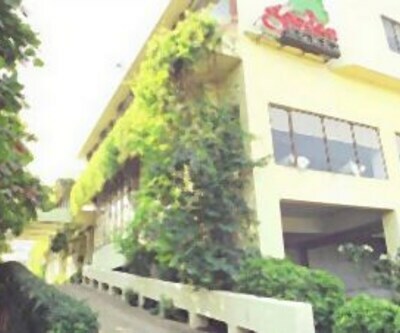 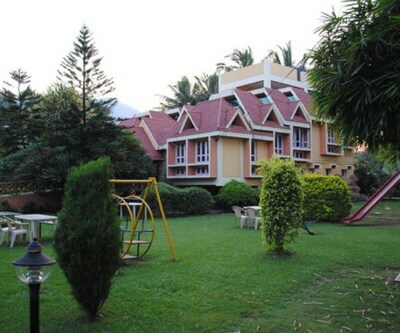 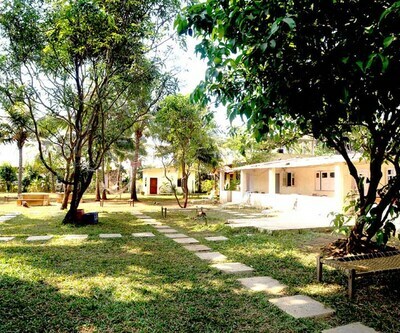 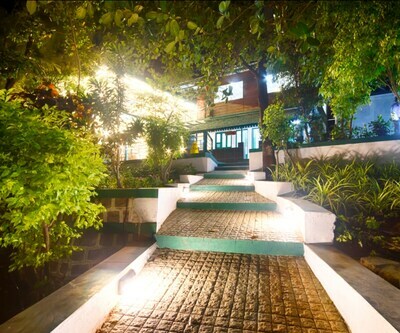 It has an in-house restaurant, conference hall, terrace hall, and banquet hall. 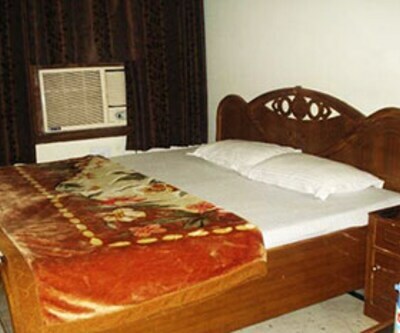 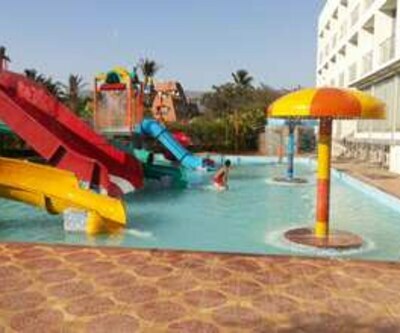 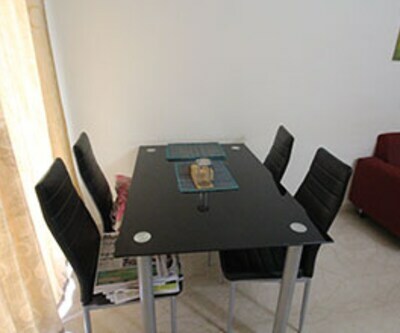 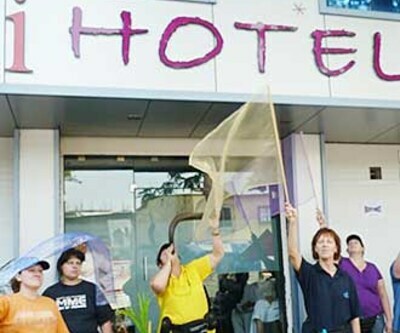 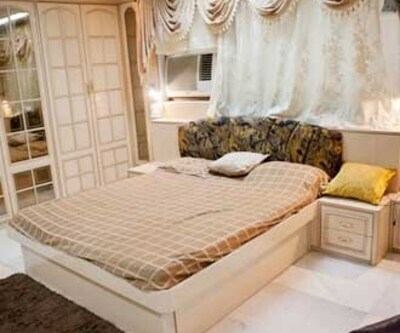 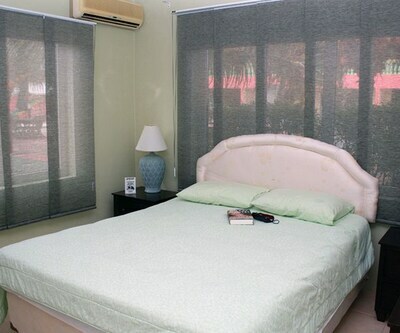 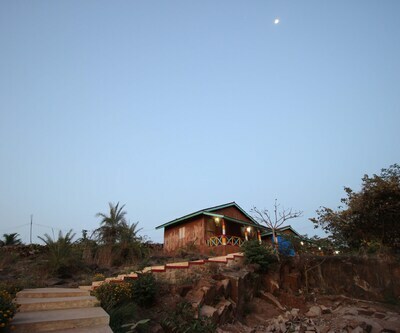 It also offers 24-hour room service.It provides sightseeing tours plan to the guests. 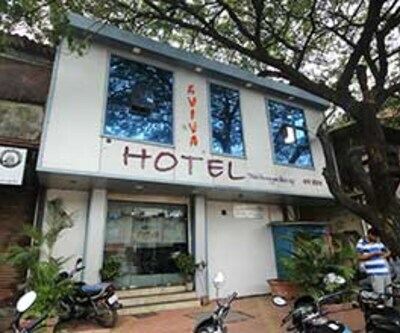 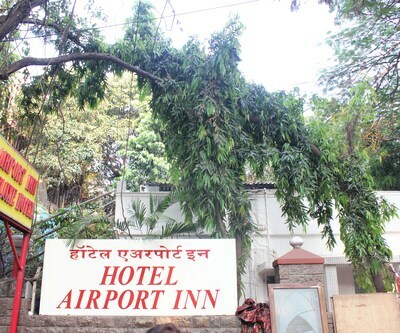 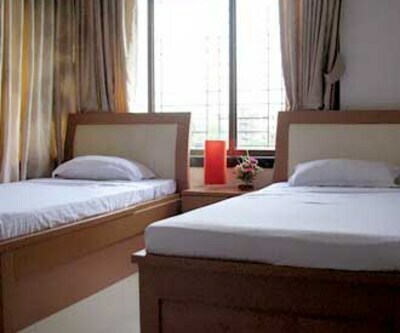 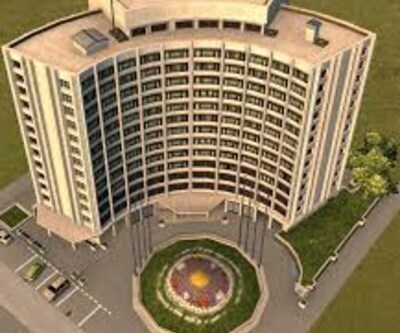 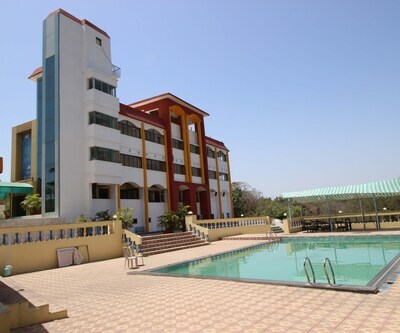 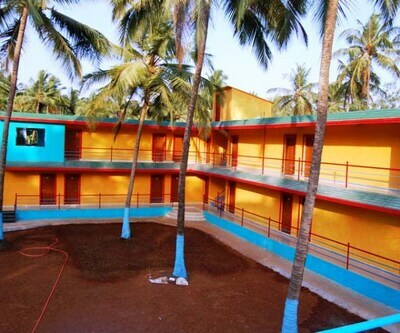 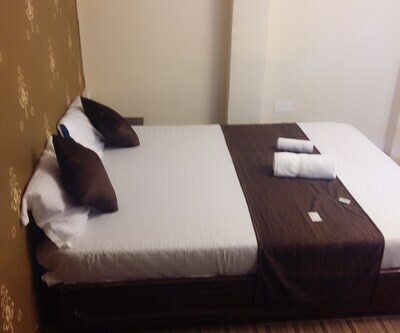 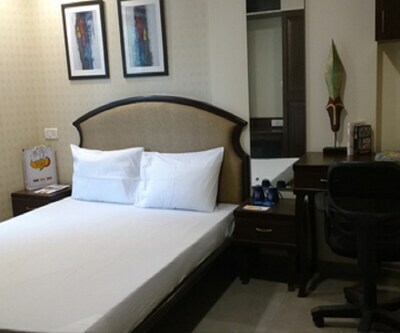 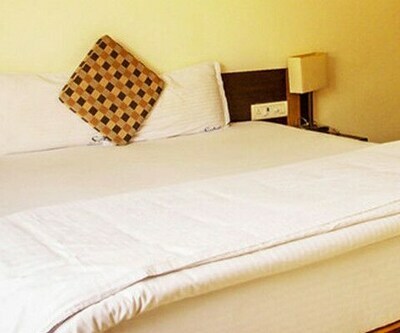 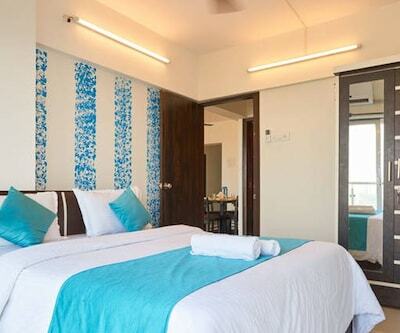 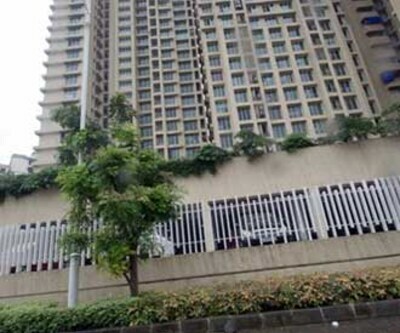 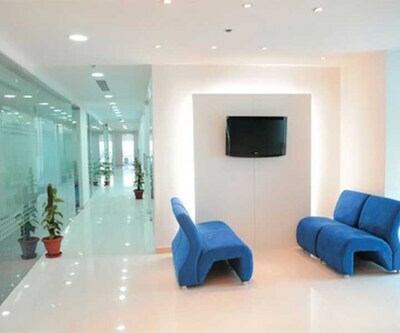 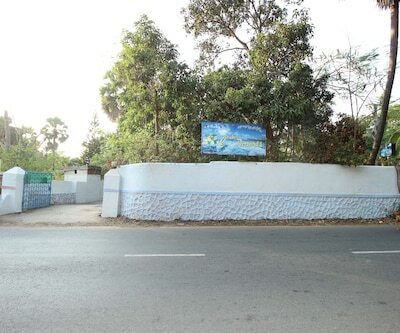 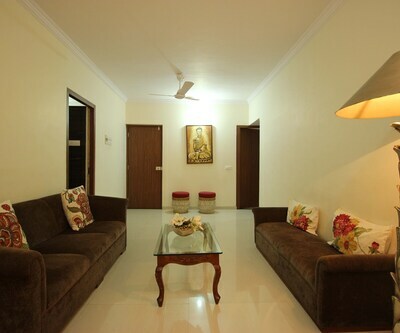 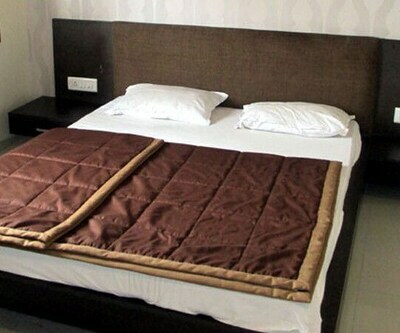 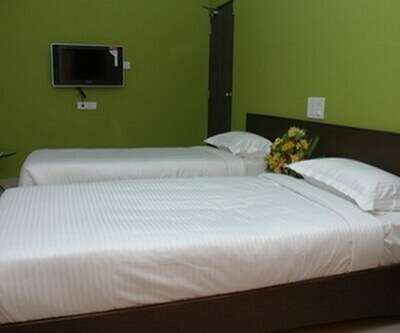 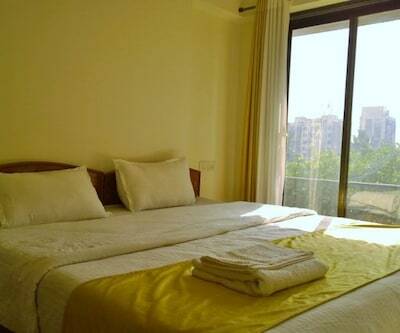 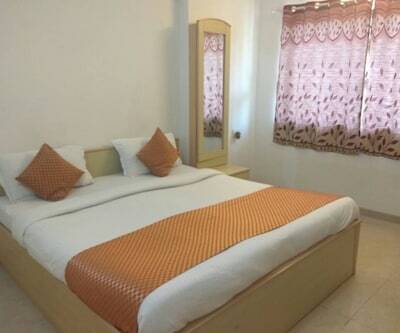 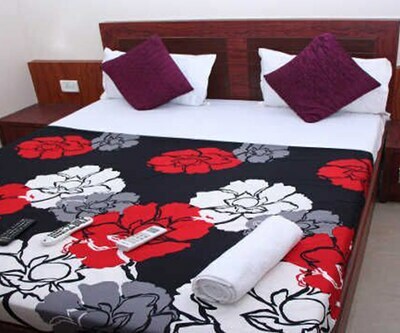 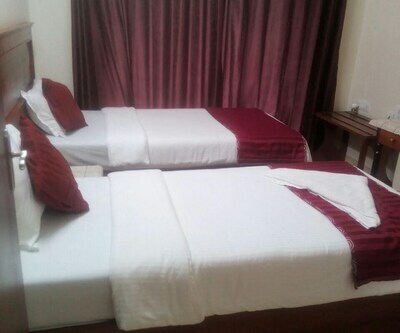 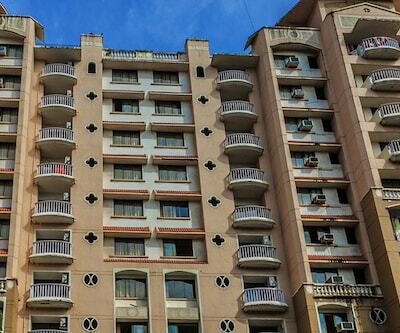 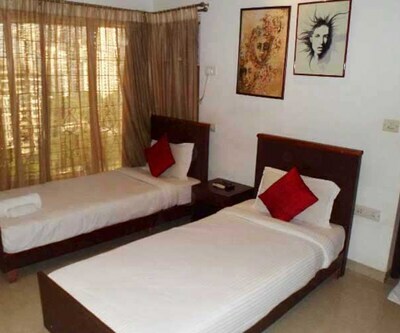 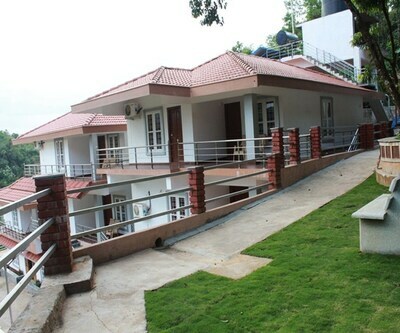 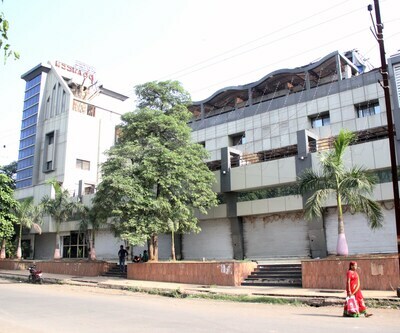 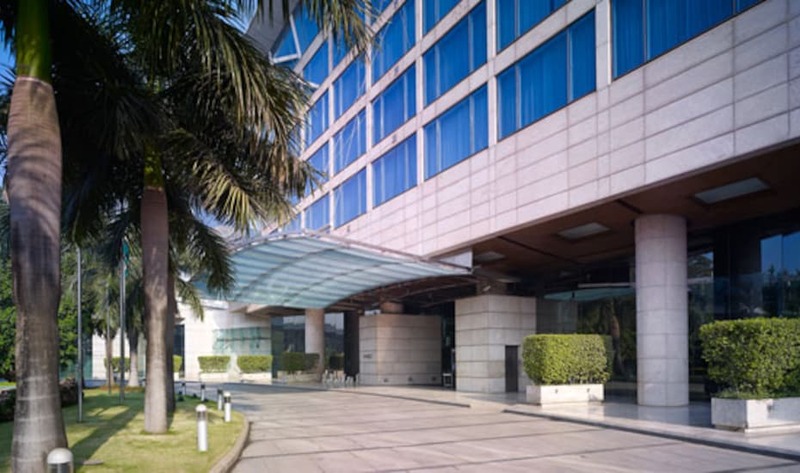 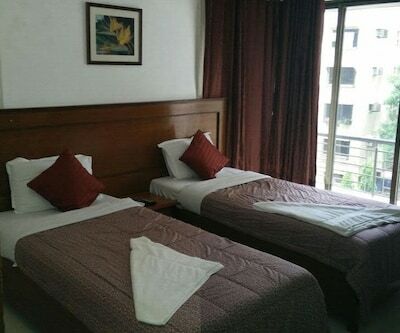 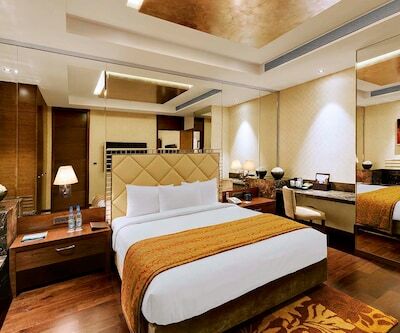 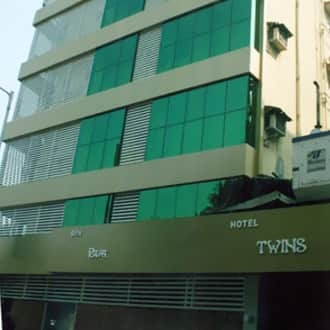 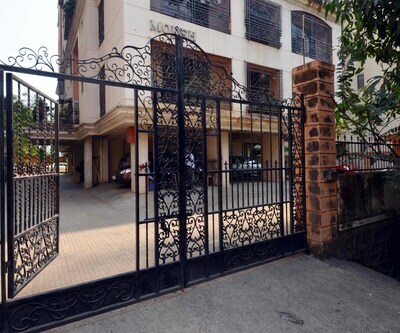 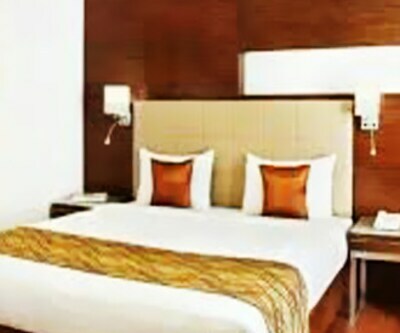 Hotel Twins is accessible from the Cidco Bus Stop (0.1 km) and the Chhatrapati Shivaji International Airport (26 km). 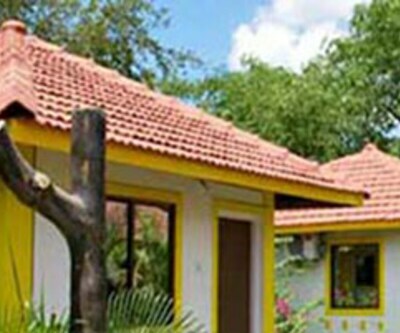 Few points of interest are the Tikuji-ni-Wadi (amusement park; 9 km), the Parsik Hills (14 km), and the Kanheri Caves (36 km).